After a holiday hiatus to focus on time with family and friends, it’s been tough to get back in the swing of things! As much as I love the food surrounding me over Thanksgiving and Christmas, it does seem to envelop one with an extra layer of (eh-em) insulation that lends to a somewhat lackadaisical attitude when attempting to deliver anything impressive in the kitchen. My answer to the post-holiday laze: slice-and-bake cookies. Have the energy to make the dough, but don’t quite get around to actually baking all in one go-around? Have no fear. These are the perfect cookies for you. You can make them up to 3 days before you are ready to bake (or 4 weeks! if you freeze instead). I wanted to work with a recipe that wasn’t too sweet or overbearing. 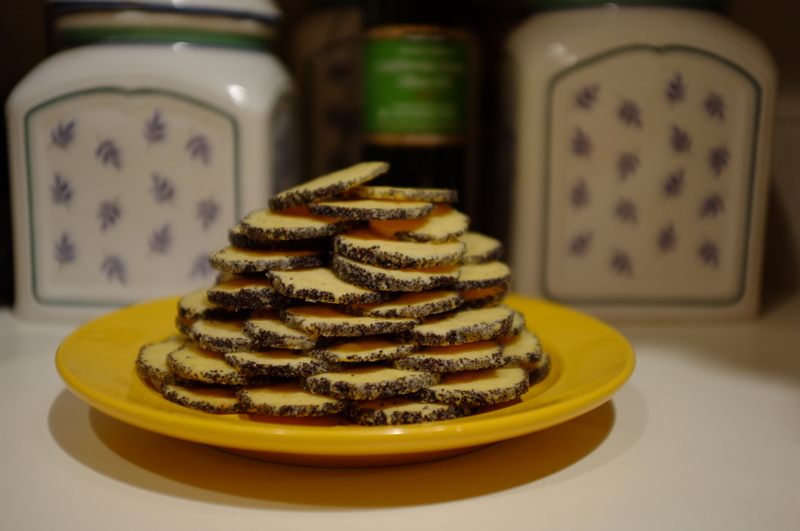 The recipe here is a simple sugar cookie slice-and-bake with meyer lemon zest and a very gentle glaze on the exterior that the poppy seeds can attach to. In addition to being a nice light alternative to all of the heavy winter treats, the presentation will wow your guests. 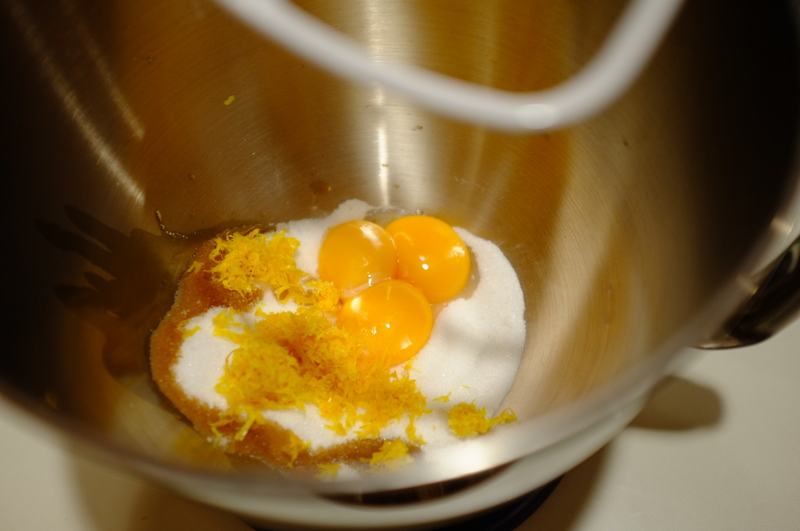 Using a mixer, mix the egg yolks, sugar, butter, milk, vanilla, and lemon zest vigorously for about 3 minutes. 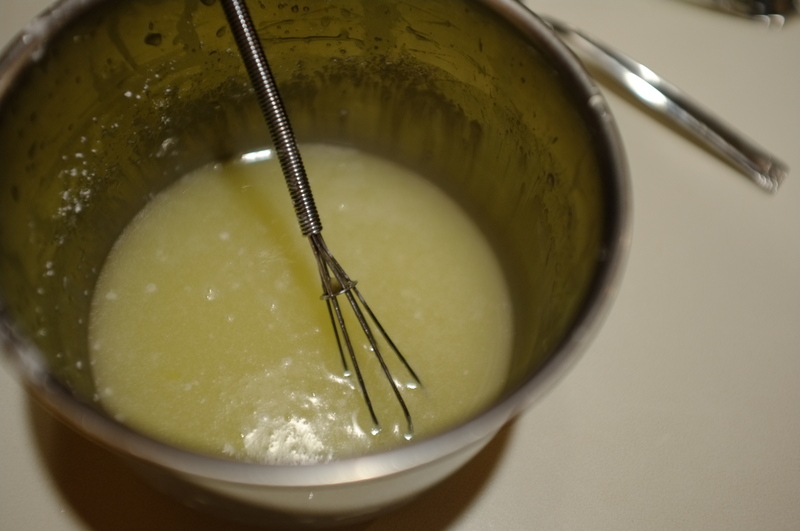 If you are using a stand mixer, be sure to scrape the sides intermittently while mixing. When finished, gather up the dough in a ball, wrap in saran wrap and place in the fridge for 20 minutes or overnight. Remove the dough from the fridge and divide into four smaller balls. Using a well-floured surface, form each ball into a roll or log about 1 1/2 inches in diameter. Set aside. 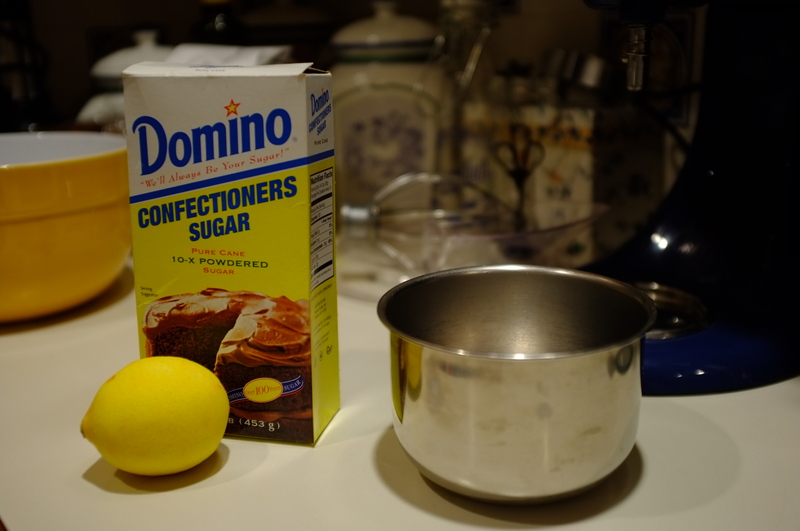 Then, whisk confectioners sugar and lemon juice in a small bowl until you reach the desired consistency. I left mine very thin, but you could make a thicker glaze if you would prefer. 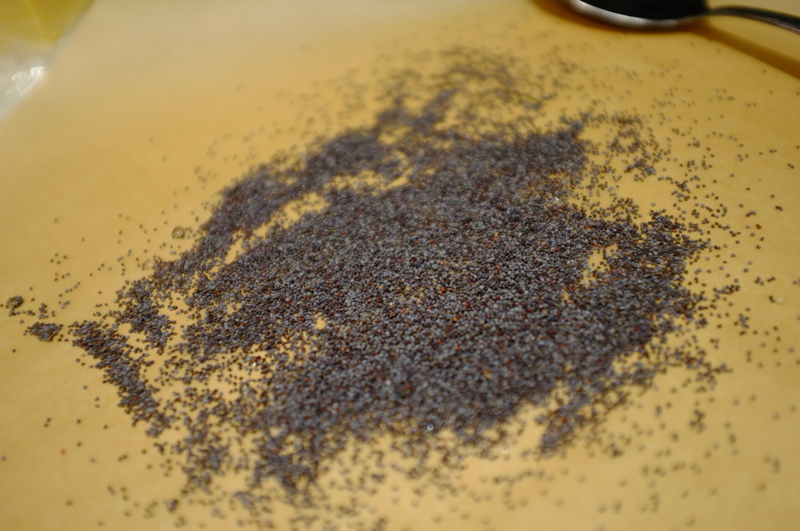 Prep your counter by spreading out poppy seeds on parchment paper. Using a small brush, paint the glaze on the exterior of the dough log. 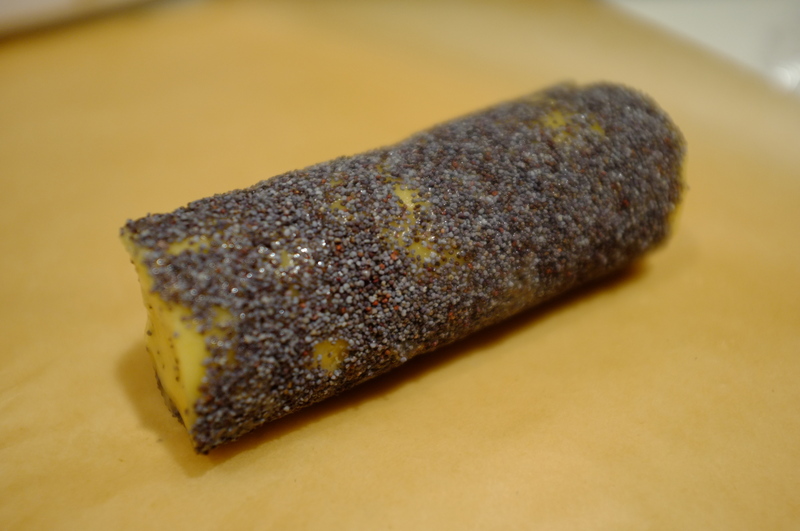 Then, roll the log in poppy seeds until the entire exterior is covered. 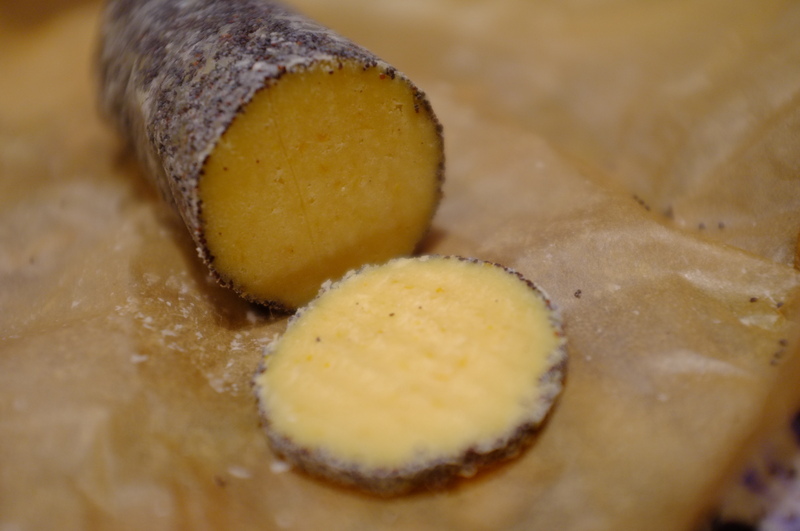 Then, using the parchment paper, you’ll want to wrap the log up tightly in a small package. 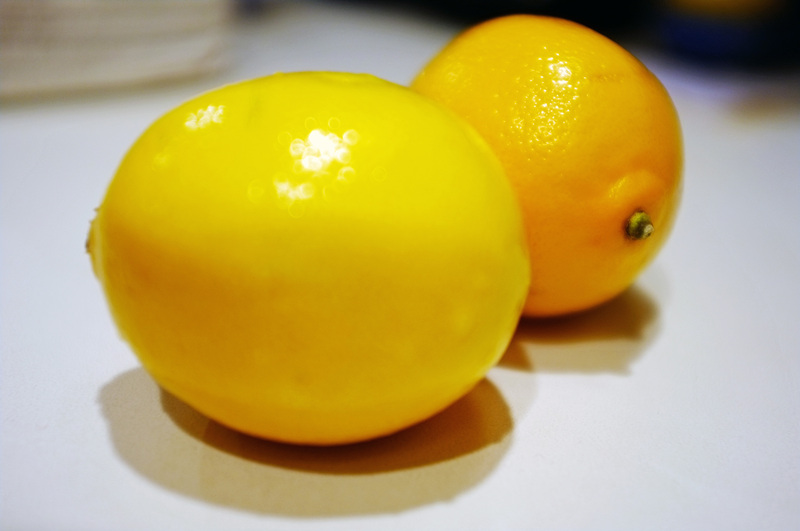 Place in the refrigerator for a minimum of two hours or the fridge for up to 3 days. You can also place in the freezer for up to 4 weeks. When you are ready to bake, preheat the oven to 350 degrees fahrenheit. Remove the roll from its packaging. Use a knife to very thinly slice the log. The thicker you slice, the more the cookies will taste like shortbread. 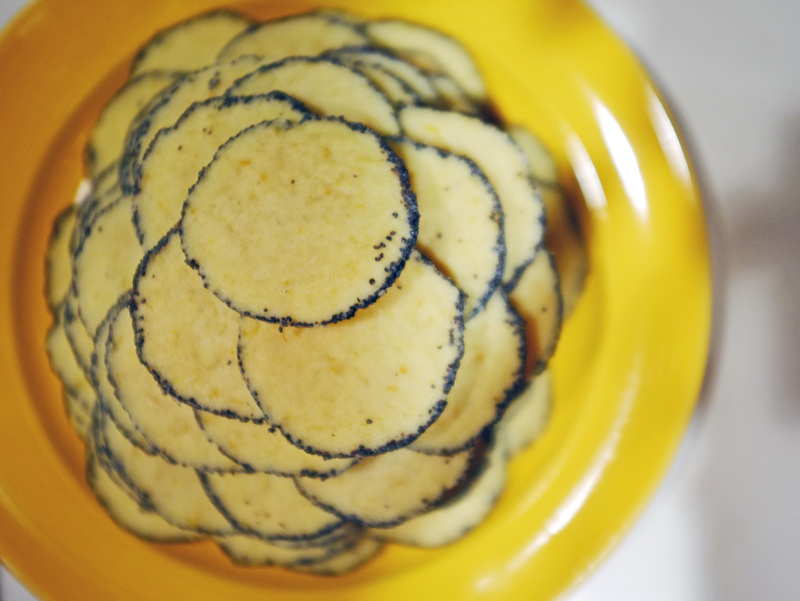 The thinner you slice, the more the cookies will resemble wafers. I recommend about 1/8 of an inch thick. 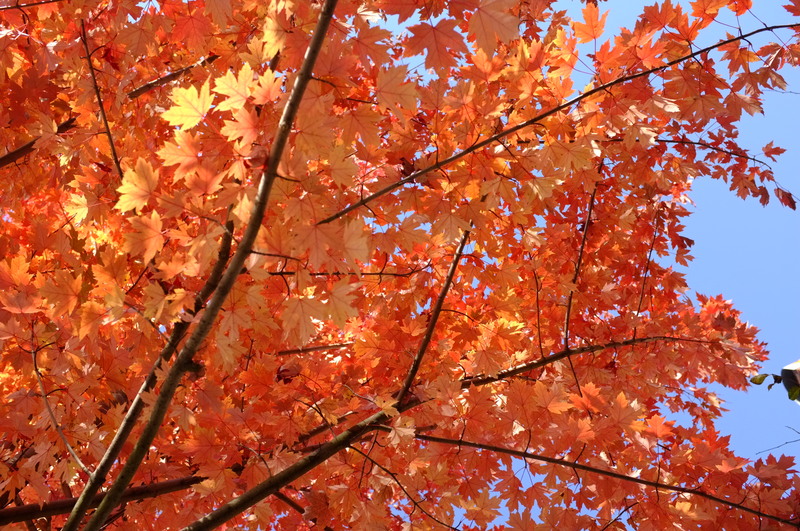 Leaf Peeping. 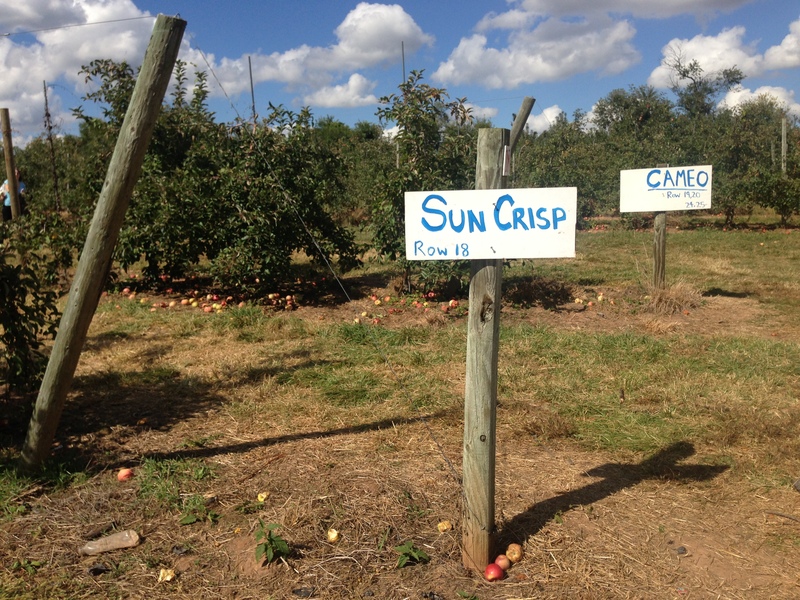 Its a strange turn of phrase to which I recently grew accustomed on a brief weekend visit to Woodstock, Vermont. 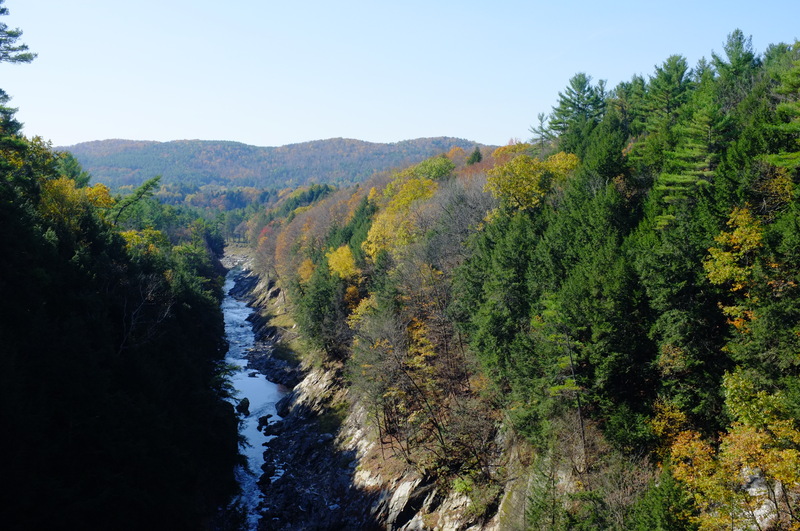 An idyllic small town tucked away between mountains covered in gold and crimson forests, Woodstock is known to many as the prime spot to stay during Vermont’s foliage season. I broke out the cable knits and corduroys and happily got on my way to the land of maple syrup and cheese. 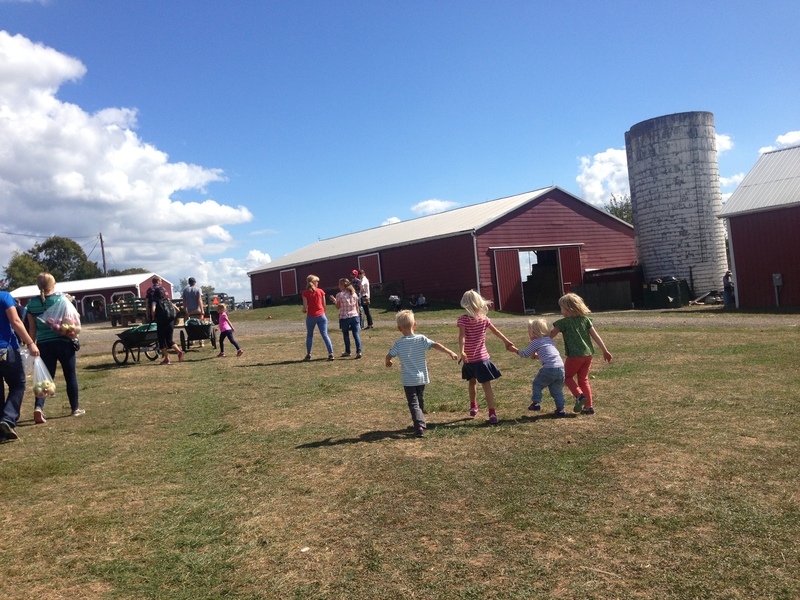 This was my third trip to Vermont. 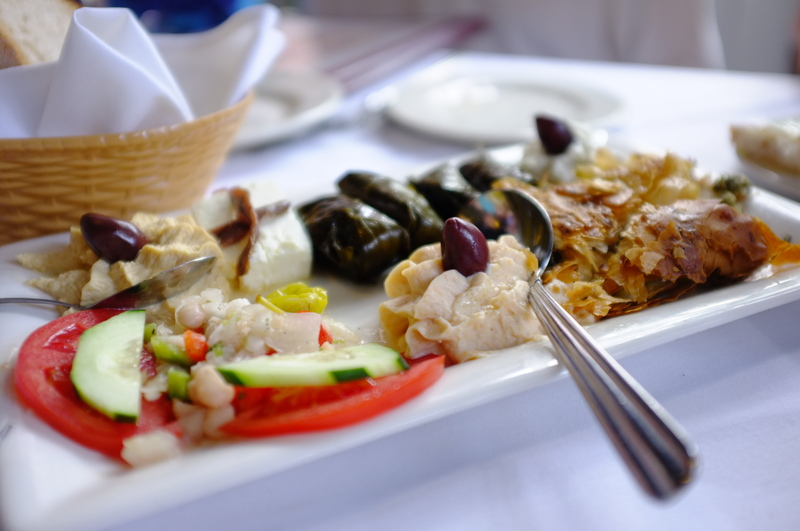 Each time has been lovelier than the last and the food gets better and better. 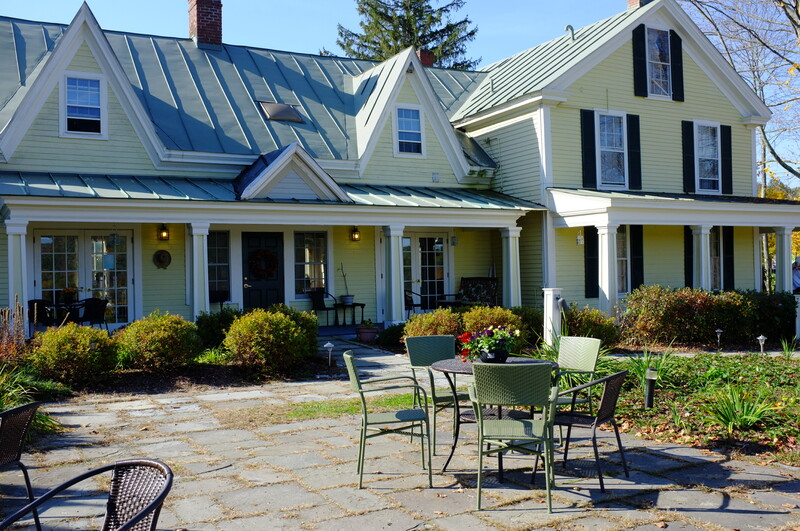 The Woodstock Inn is home to the Red Rooster, Richardson’s Tavern, the Woodstock Spa, and perhaps the most welcoming stone hearth and fire you’ll ever encounter. We dined at the Red Rooster on our first night. 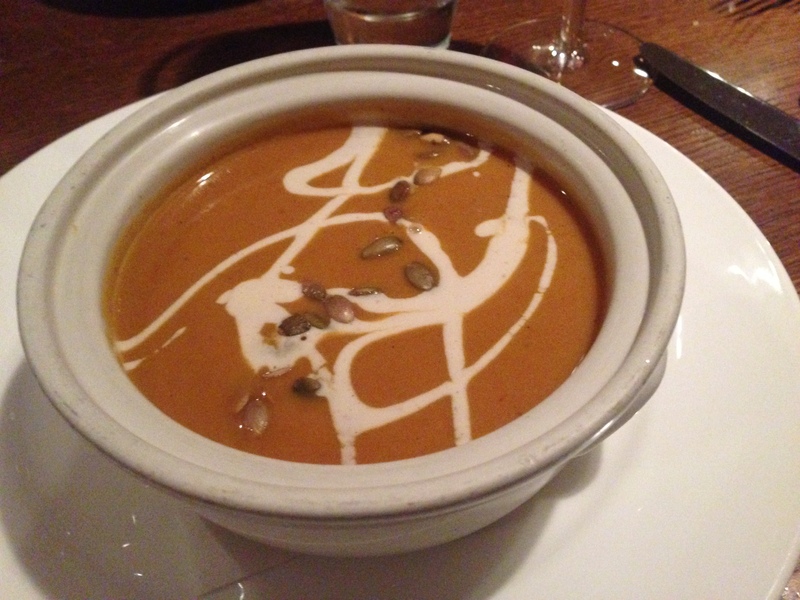 On special was a Pumpkin Apple Soup which was delightful – the natural sweet of the apple filled out the savory vegetable flavors of the pumpkin, topped with a gently spiced creme fraiche straight from the creamery. I could have eaten a few more bowls! Simon Pearce brought his talent for glassblowing from Ireland to the US in 1989. 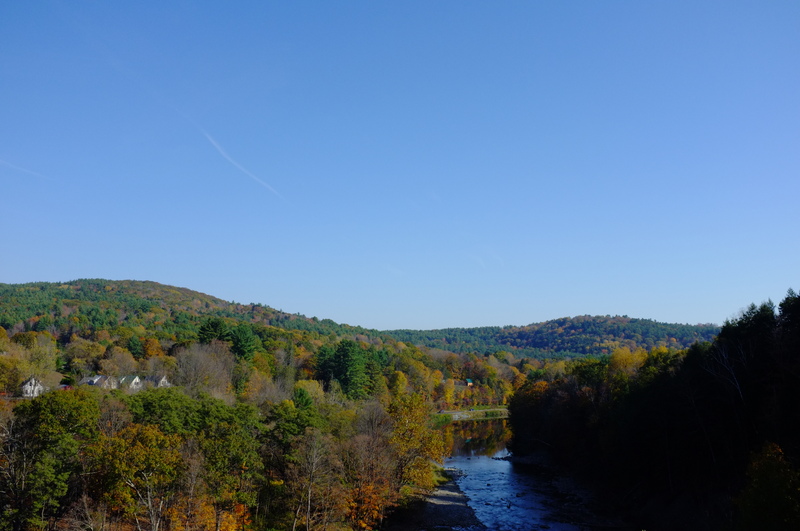 Quite literally over the river and through the woods from Woodstock rests Quechee. 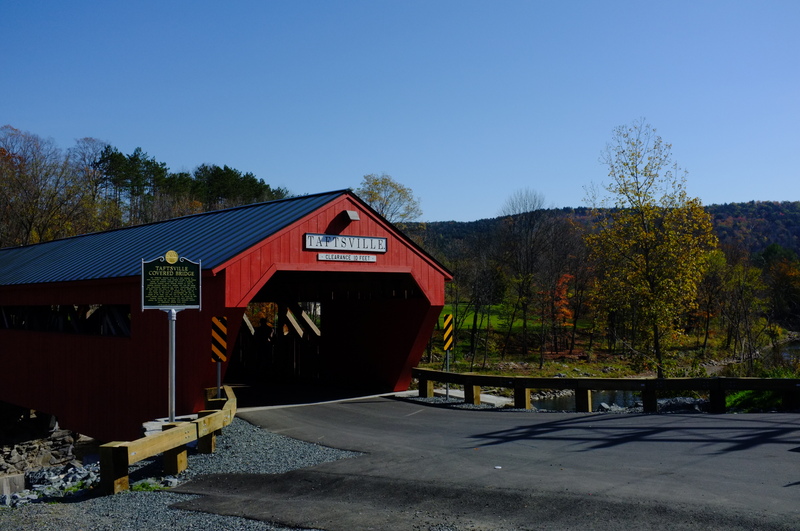 Some might remember that Quechee had its picture-perfect covered bridge washed away by Hurricane Irene just two years ago. Located next to the bridge, Simon Pearce’s glassblowing studio was entirely flooded. With much effort, the town and its landmark glassblowing business and restaurant have rebuilt and it looks like they haven’t skipped a beat. The restaurant juts out right above the dam and looks straight over to the falls a and new bridge. The food is only outdone by this spectacular view – a soft and hazy sunset reflected on the serene water, framed by the colors of turning leaves in all their glory. 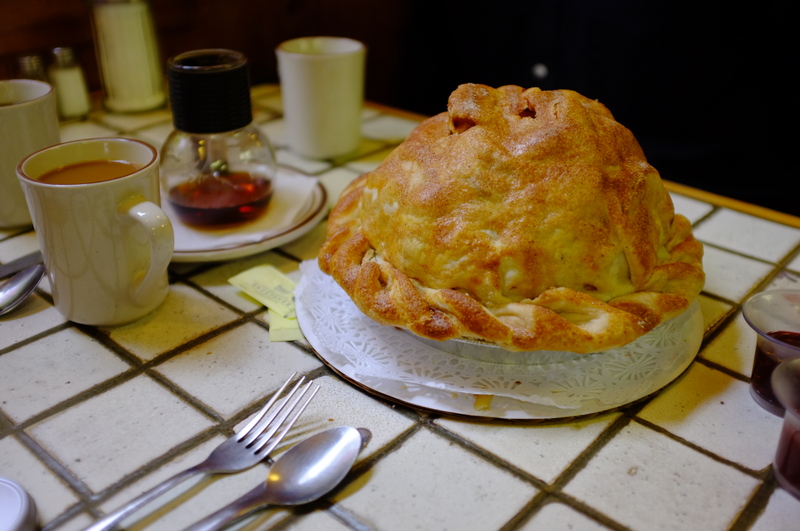 While some might think the breadbasket doesn’t stand a chance against this, my meal was something to behold. Most of all, I appreciated the Savory Apple Bread Pudding – with sweet onion, chive, and nutmeg flavors – that was plated alongside my salmon. 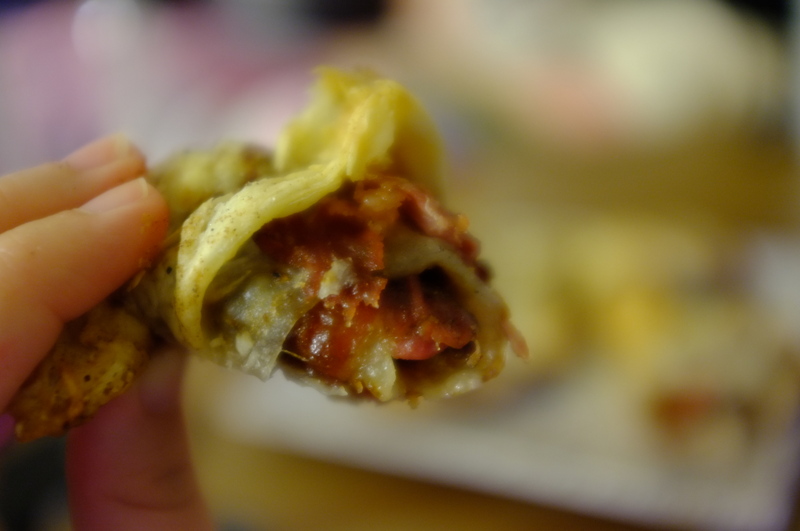 I recreated this recipe at home, which you can check out here. 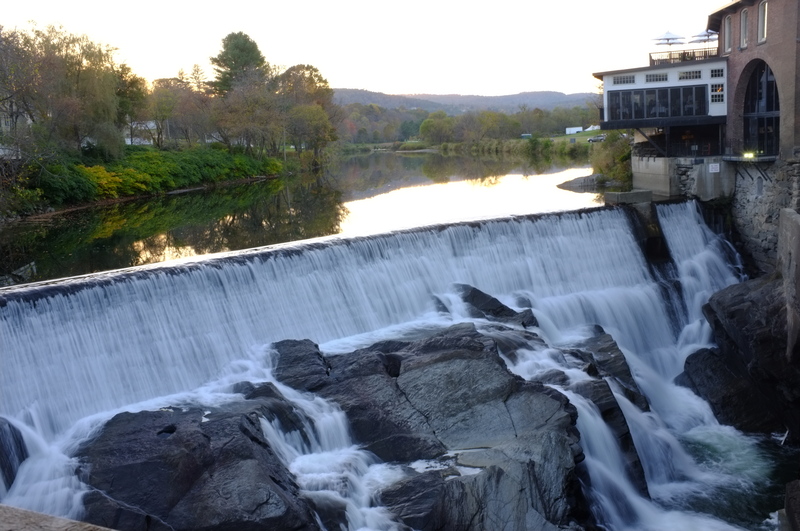 If you are on your way to see the beautiful views at Quechee Gorge, stop by Trapdoor for breakfast. 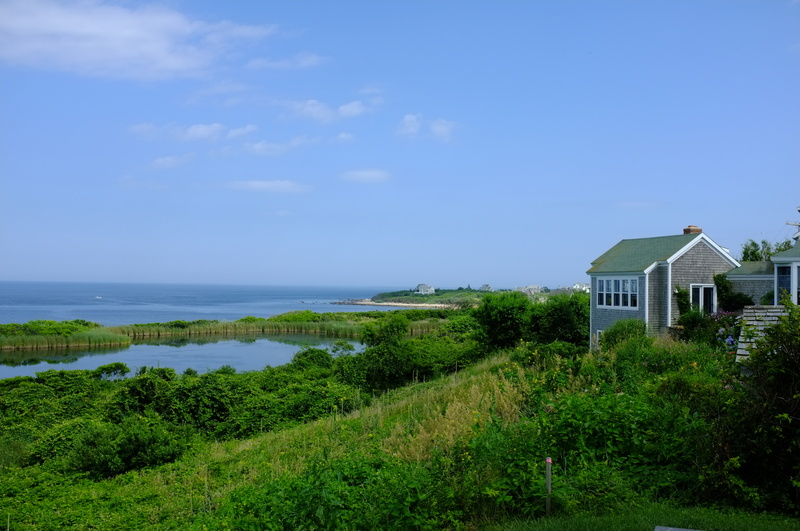 This simple restaurant has surprisingly beautiful views from their patio and good food for a quick bite. You can see they have no shortage of options. 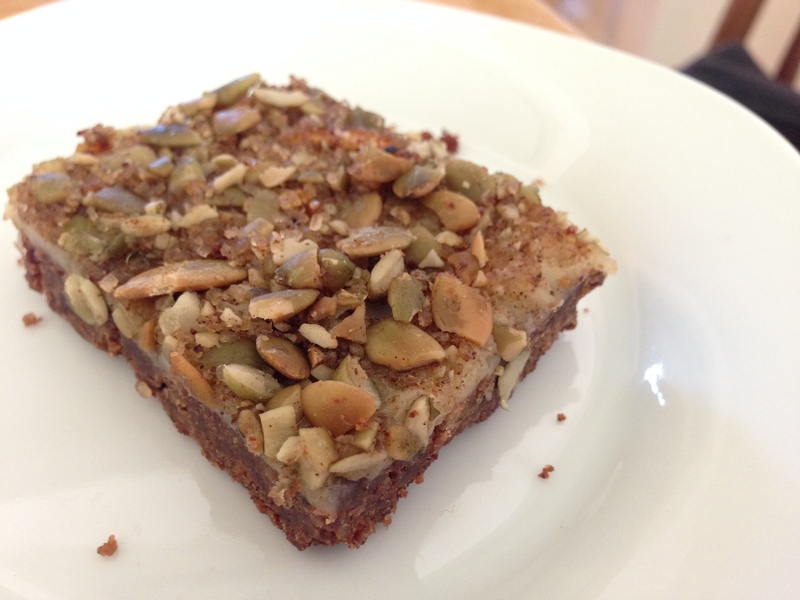 My favorite was the harvest bar: chocolate pumpkin graham crust with a cream cheese spread topped with roasted pepitas. I still don’t quite know what the special ingredient was, but just the name says it all – the goodness of a fall harvest with depth and warmth of flavor. 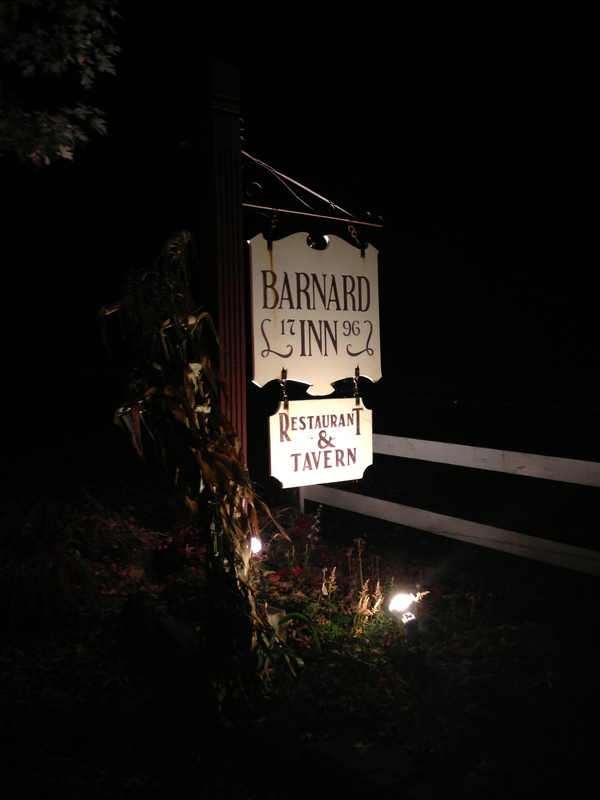 Built in 1789, Barnard Inn is filled with history. They pride themselves on a rich heritage with a progressive kitchen that sources organically and as much as possible from their own land. 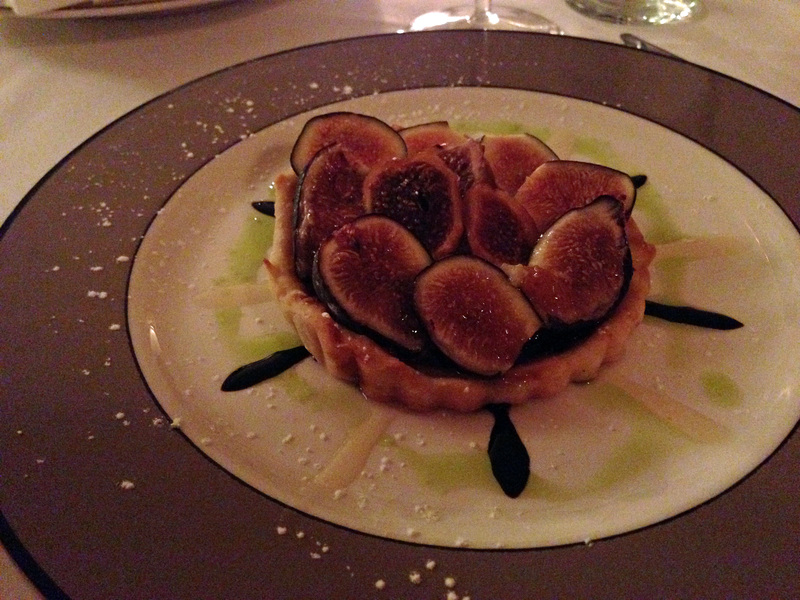 While the whole meal was delicious, the fig and goat cheese tartelette appetizer stole the show. 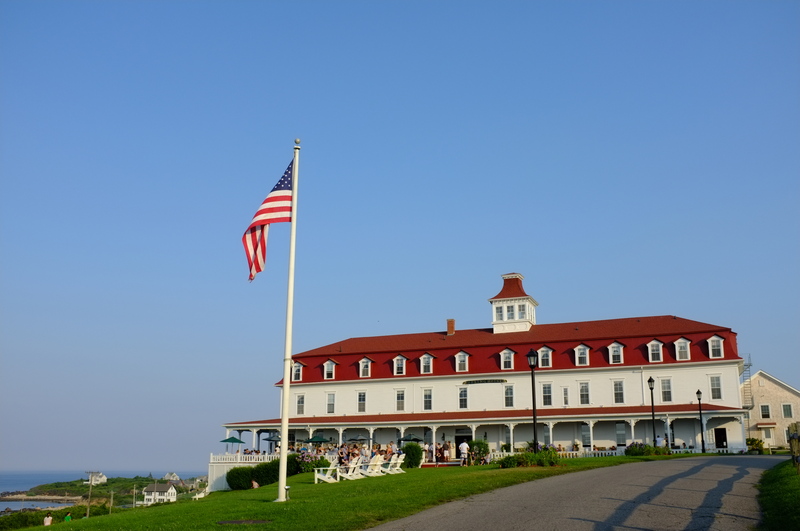 Every vacation has a destination that looks unassuming and completely knocks your socks off. For me, that was Mountain Creamery. Looking for a refreshing change on our very last day from the fancy dining venues around town, we stumbled into the diner that looked like nothing more than a divey local’s spot. 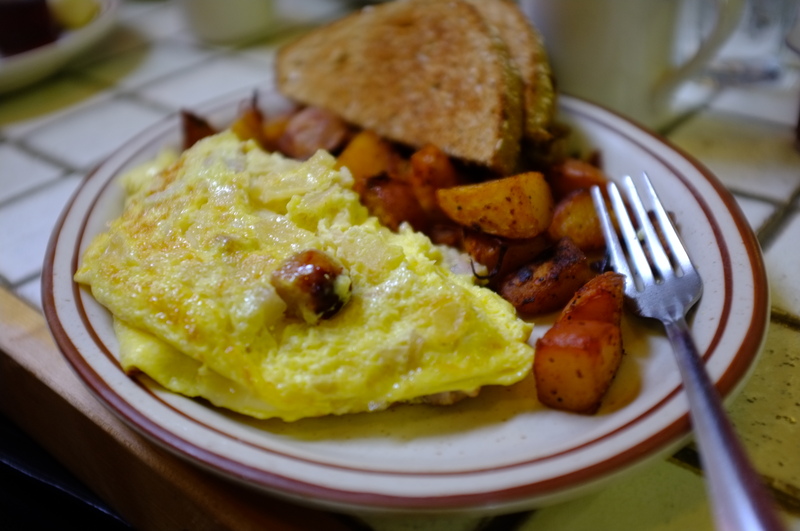 What we found was the heart of true Woodstock and some great omelets and even pie (yes, mile high apple pie) to start off our day just right. 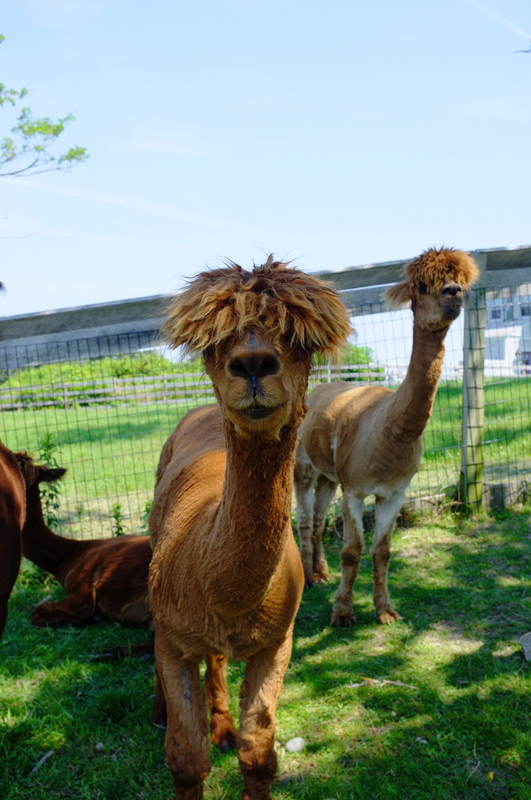 Have you heard? 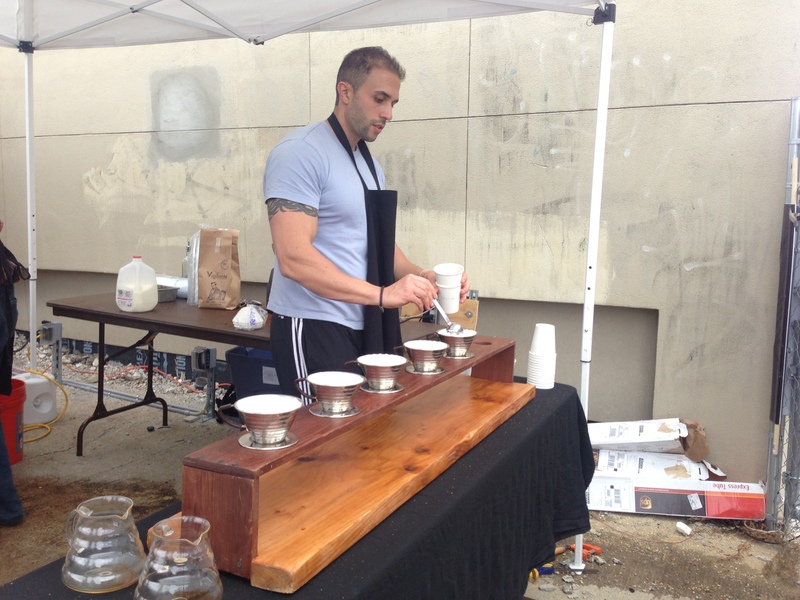 The District Flea – the latest place to see and be seen on Saturday mornings while strolling coffee in one hand, leash with your dog close by in the other – is open and here to stay. For a few more weeks at least. 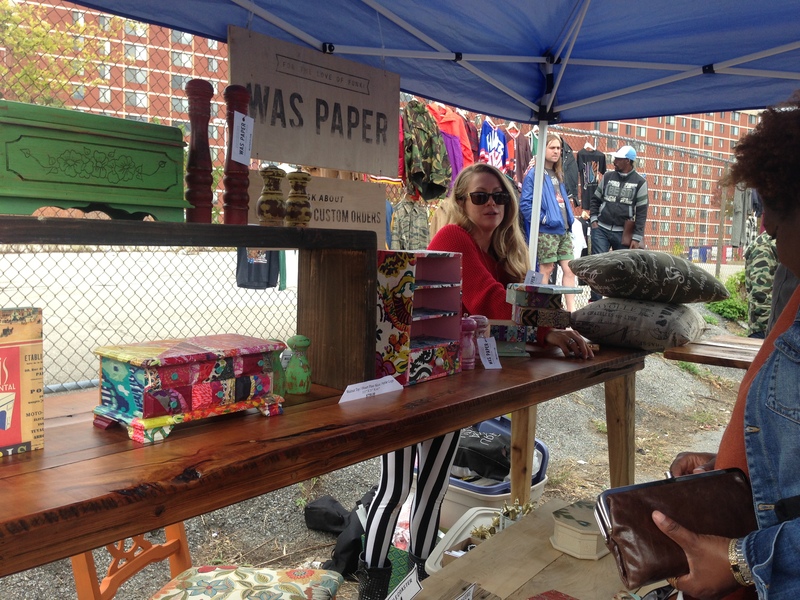 The creative minds behind the Brooklyn Flea and Philadelphia’s Market at the Piazza in Northern Liberties have brought their eclectic and funky flea market experience to DC. 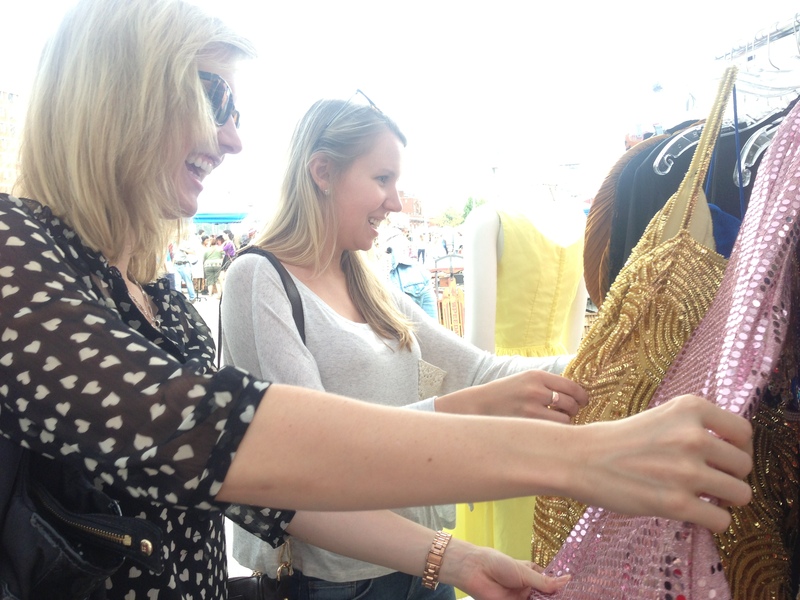 The District Flea is not your typical flea market. The first thing you’ll notice that everything seems to fit just so in a beautifully curated chaos. Sequins and shoulder pads next to lime green repurposed furniture next to huge steel architectural elements next to old records and plastic frame glasses. I went one overcast Saturday not too long ago to explore and see what all the hype was about. My friend Ashley, my cousin Amy, and I were not to be bothered with shopping until we checked out…the food (you guessed it). I made a bee-line for Red Apron. One thing I rarely eat is a hot dog. It’s sacrilege to say at any summer outing, but the fact of the matter is, I just don’t get that excited about them. 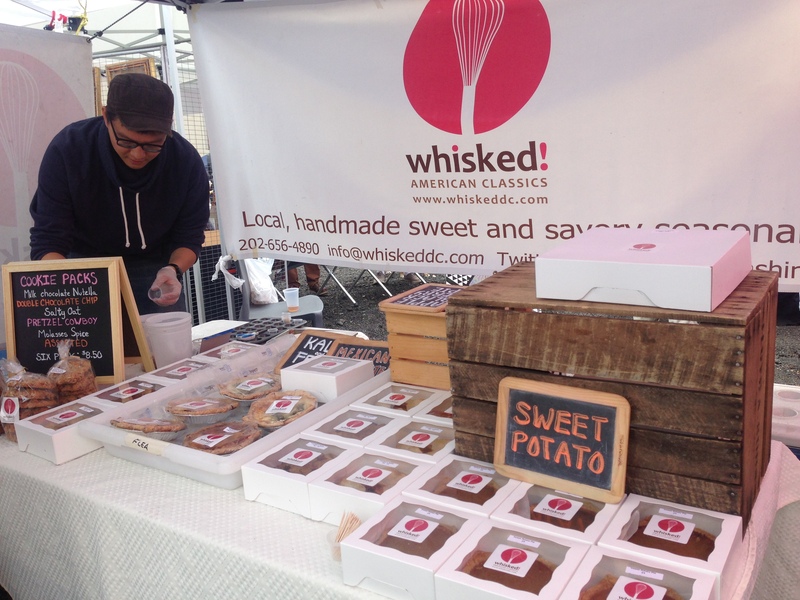 Put me in front of Red Apron’s stand with three mouth-watering selections and delectably fresh homemade potato rolls and we have another story. 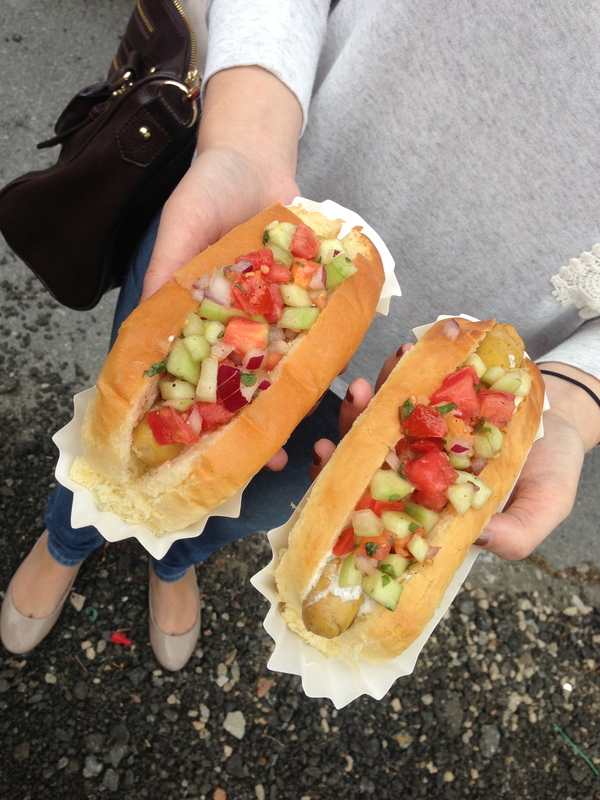 I opted for the Curried Away – a curry hot dog topped with whipped feta and a cucumber tomato relish. Amy and I agreed that the whipped feta was the kicker. Its delicate flavor settled the curry down to really allow the palate to absorb the fresh flavors of the fatoush-inspired relish. 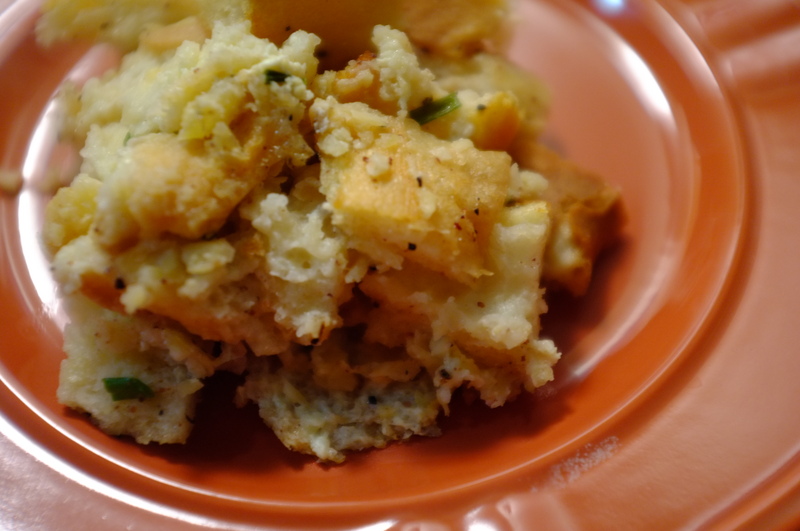 Soon after we downed the hot dogs, we began exploring the soul food (bourbon bread pudding! 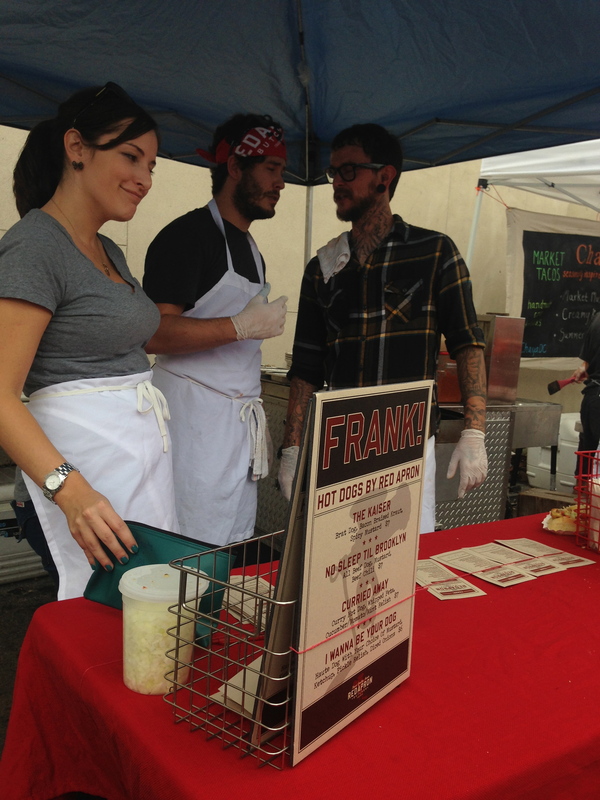 ), tacos, fresh yogurt, Gordy’s Pickles, cookies, macarons, gelato, and more that surrounded us. What a feast! This small boutique creative group makes some of the coolest maps of DC neighborhoods I’ve come across. The colors are bright and bold and can all be paired with one another to remind us of past neighborhoods we’ve called home or serve as mementos when we leave this ever-transient city. I fell in love with the couple running this small etsy-based business even more than the furniture offerings surrounding them. 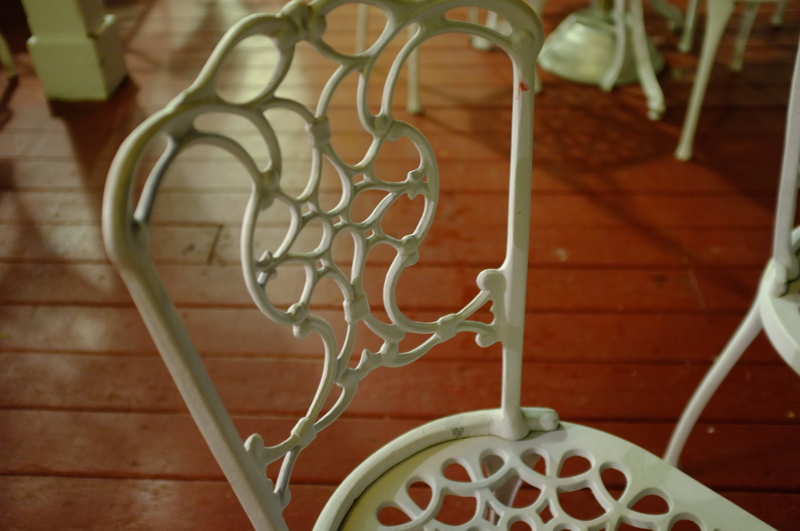 Their shabby-chic pieces are reasonably priced, but each has a touch more of a unique look than most of us could ever pull off ourselves with a can of white paint. They paired their display with antique tennis racquets turned chalkboard with the founding fathers sketched on them. Adorable. Speaking of adorable, Eleanor Madison was a pleasure to chat with. She’s just getting started, but clearly has an eye for beauty. 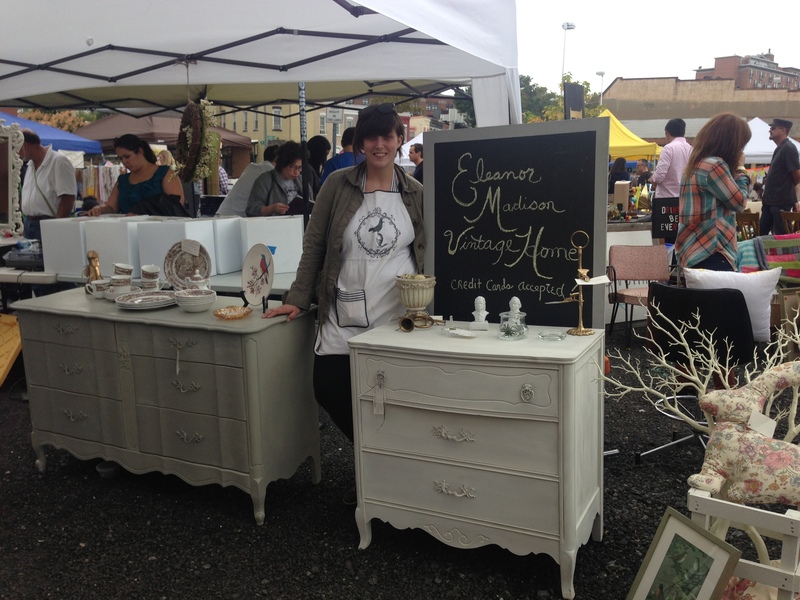 Her collection of old furniture felt as though you had stepped into a random market in the south of France – dried hydrangea and natural branches, rustic green and off-white pieces with ornate gold detailing – only the best part is, you can take it home! After purchasing some jewelry, artwork, and pieces that we just “had” to have, Ashley, Amy, and I made our way to our last stop before home: Vigilante Coffee. Our just-ground pour-over coffee left nothing else to be desired. 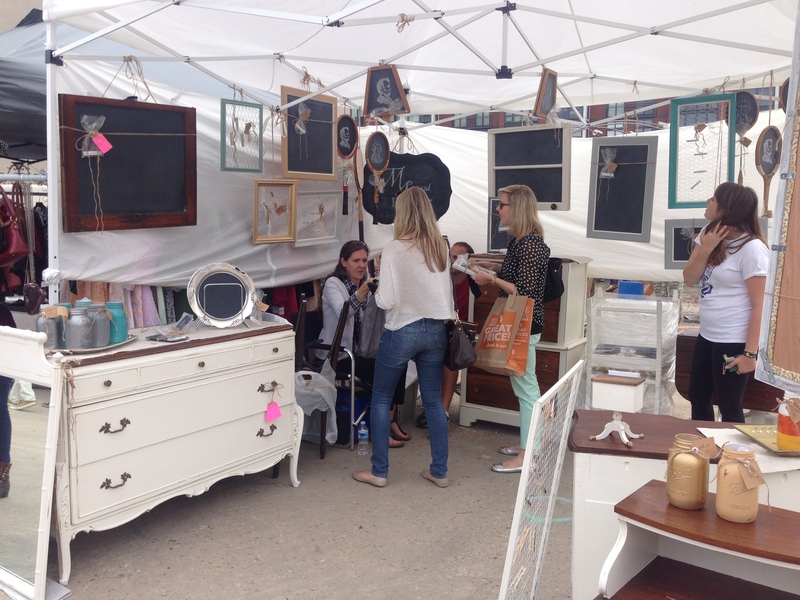 District Flea will be open every Saturday from 10am-4pm through November 30th at 945 Florida Avenue NW. 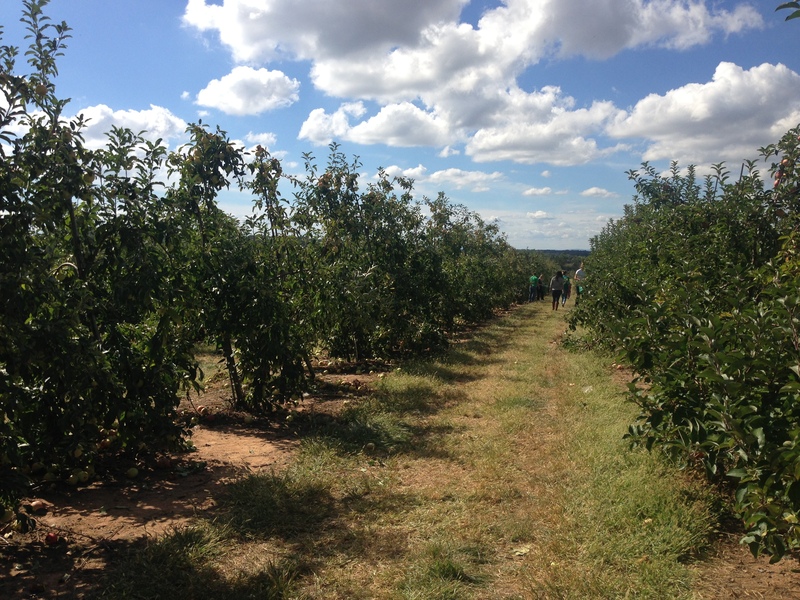 Washington, DC has enjoyed the most mild and beautiful seasons in recent memory. In a city we so fondly call “Swamptown,” we’ve left extreme humidity and waltzed through September tousled in mid-70s breezes and a low golden sun. 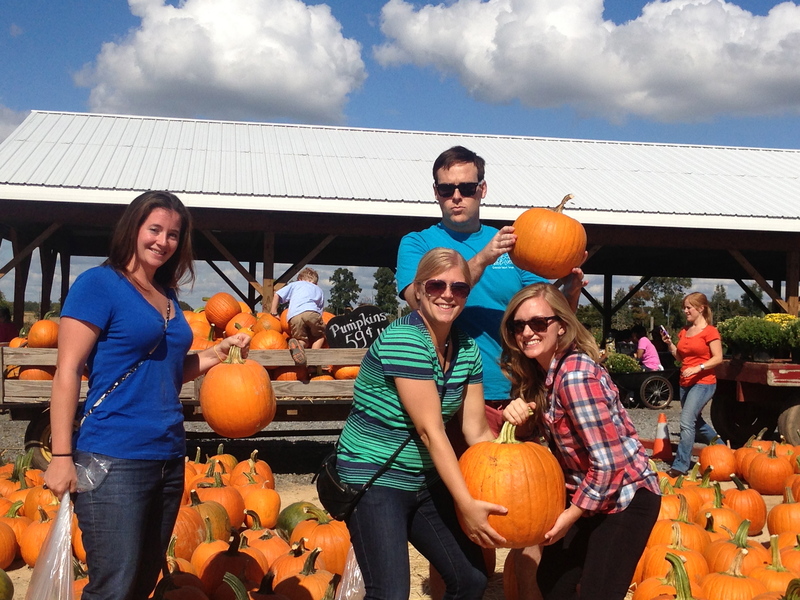 Its hard to believe that the time has come for pumpkins, squash and sweet potatoes. 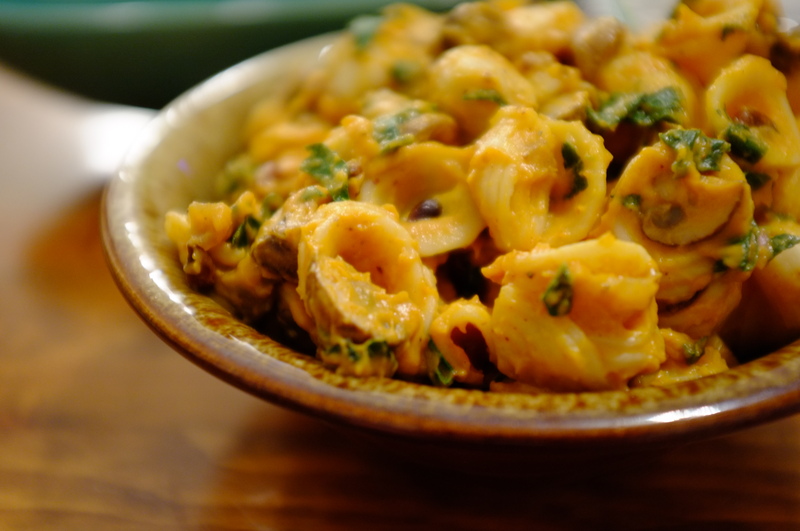 To try to talk myself into autumn excitement, I played around with a few flavors of fall and came up with this unique pumpkin pasta salad, complimented by kale, cremini mushrooms, and toasted pine nuts. It can be served warm or chilled. Make a roux with the butter and flour. Slowly add the milk while continuing to whisk. 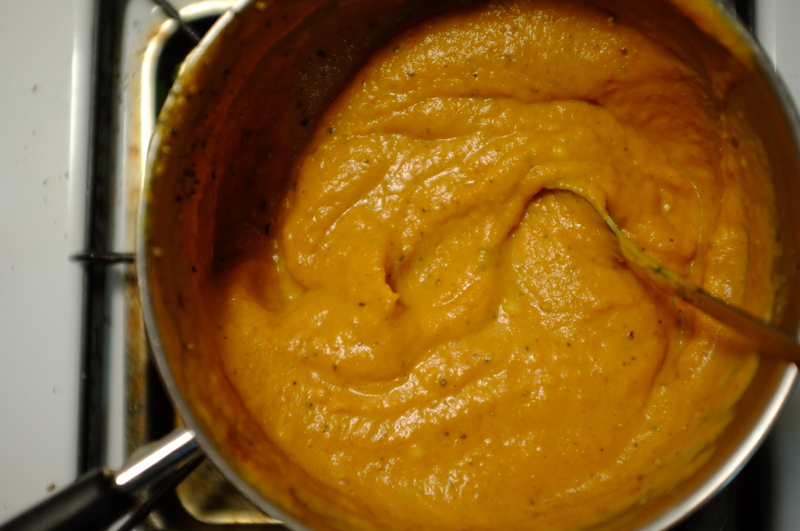 Add in pumpkin puree, nutmeg, cinnamon, salt, and pepper. Simmer over low heat for at least 15 minutes. Warm a medium-sized pan to high heat. 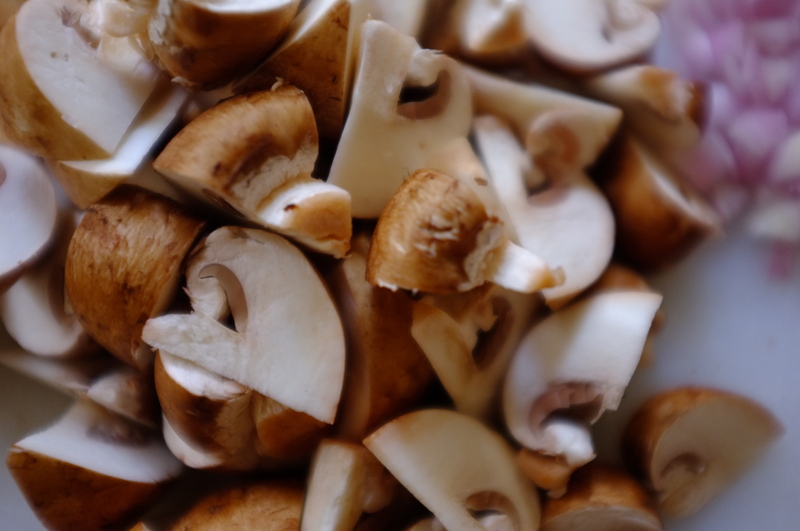 Add mushrooms to the pan without oil and allow them to cook. 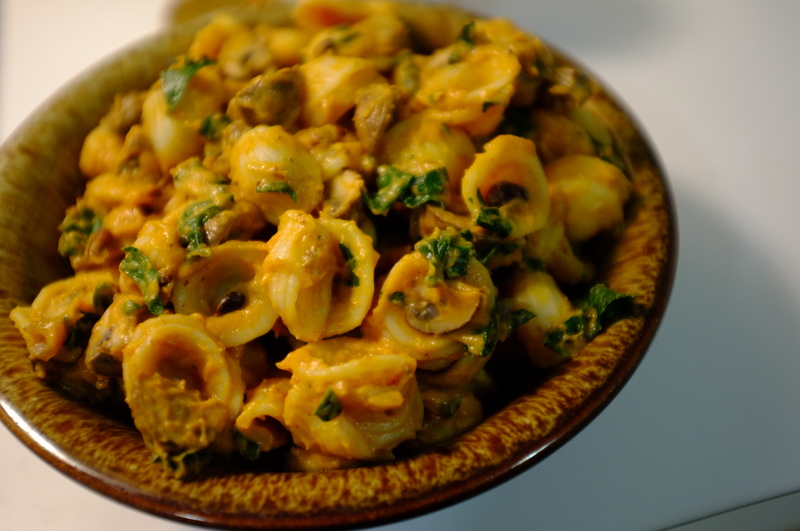 Avoid turning too much so that mushrooms maintain a good shape and do not turn mushy. Remove mushrooms and set aside. 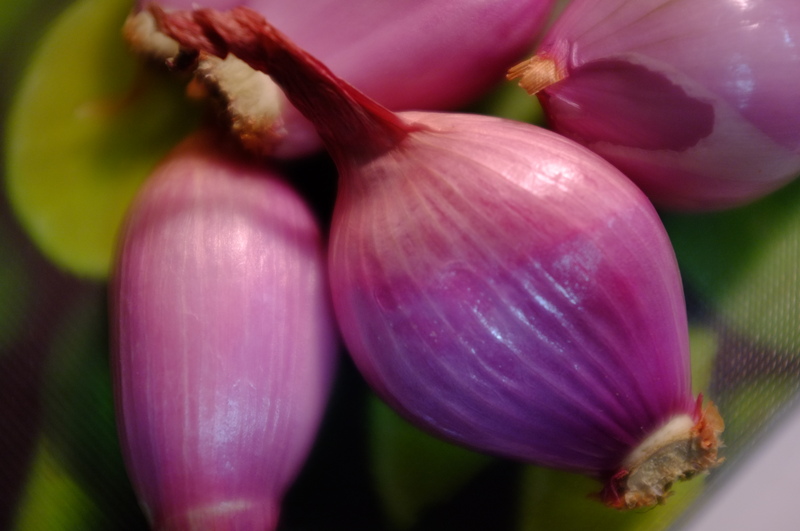 In the same pan, sauté shallots. Add shredded kale and cook down until the kale is a rich green color. Pour warm sauce over cooked pasta. The pasta will absorb the sauce best if the pasta is just out of the pot after boiling. Add mushrooms, kale, shallots, and toasted pine nuts. Refrigerate for 2 hours before serving or serve warm. Pairs well with roasted chicken or pork chops and a cabernet franc. Comfort food means something different to everyone. To me, I think of my mom’s pasta, my grandmother’s shrimp scampi, and my uncle’s pies. But I also recall all of the restaurants I used to frequent in my hometown of Wilmington, Delaware. To this day, I swear the best pizza I’ve had comes from Pizza by Elizabeth’s – venue of memories for post-sports game meals, girl’s night out with my best friends, family dinners, and even my first date. One of the best things about their menu is the “build-your-own” that provides a multitude of sauce options. 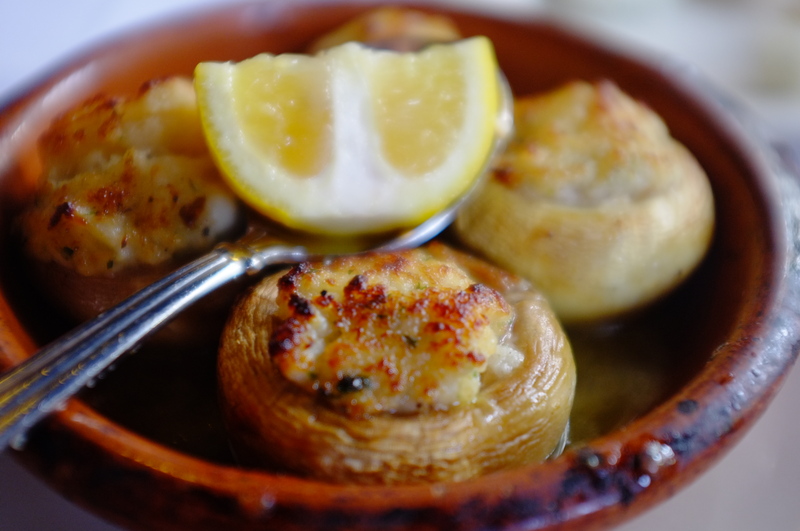 My favorite has always been the Mushroom Duxelles. 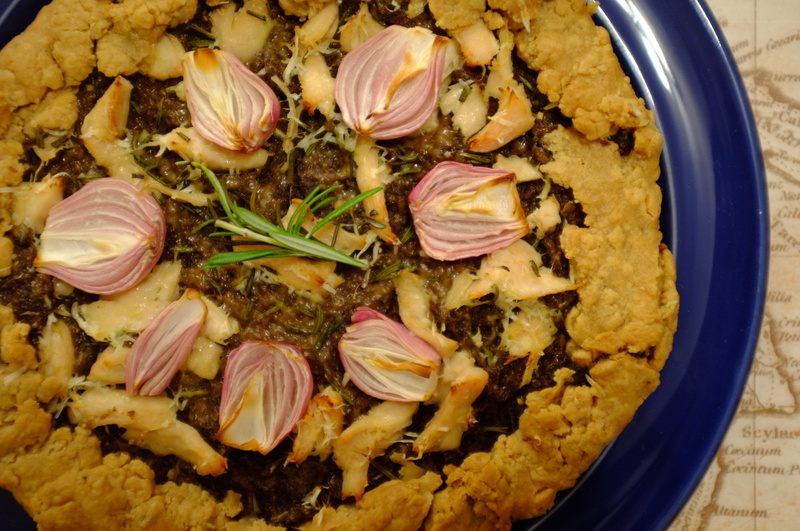 In search of a little comfort food this week, I tried my hand at a free-form folded tart that deconstructs the flavors of Pizza by Elizabeth’s Mushroom Duxelles Sauce: mushroom, white wine, shallot, and garlic. This tart is great for sharing. 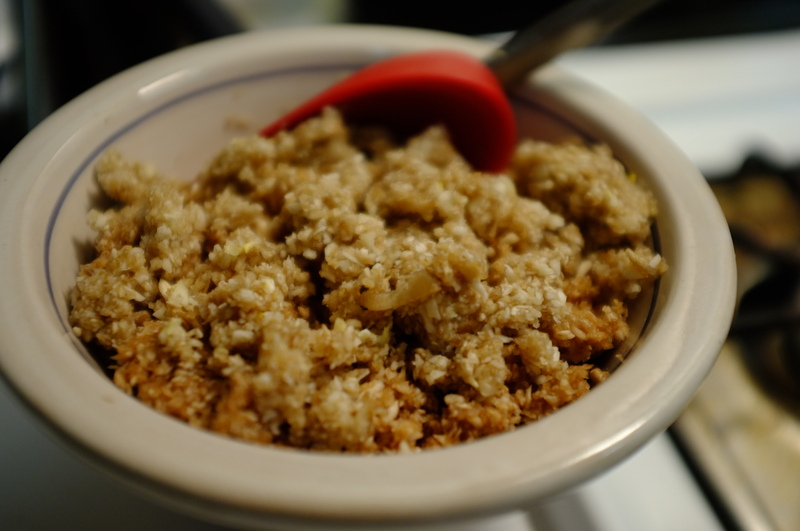 Don’t let it fool you – aside from the long list of ingredients, its fairly simple. Since tarts are a go-to of mine, I keep frozen dough on hand. I realize this isn’t the norm, so for some good recipes, I recommend Julia Child’s or the Joy of Cooking’s recipes for pastry dough. The ingredient list is simple: butter, flour, salt, and cold water. 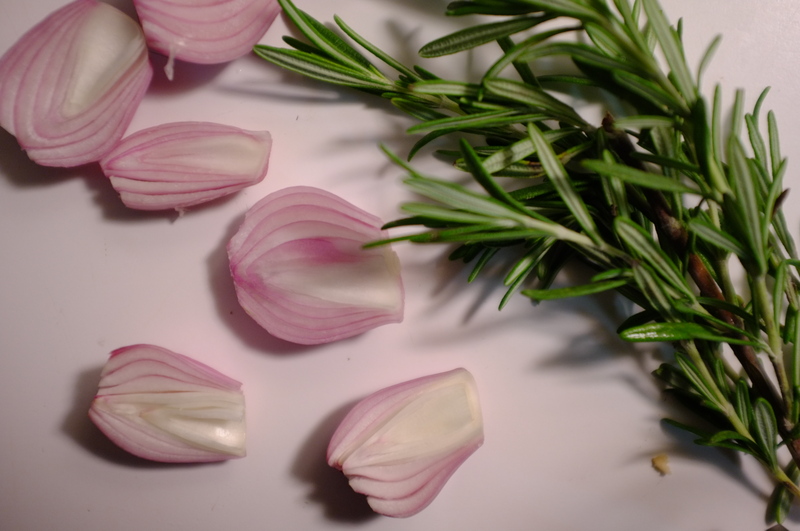 If you want to play around, add some herbs – like rosemary – to your dough. 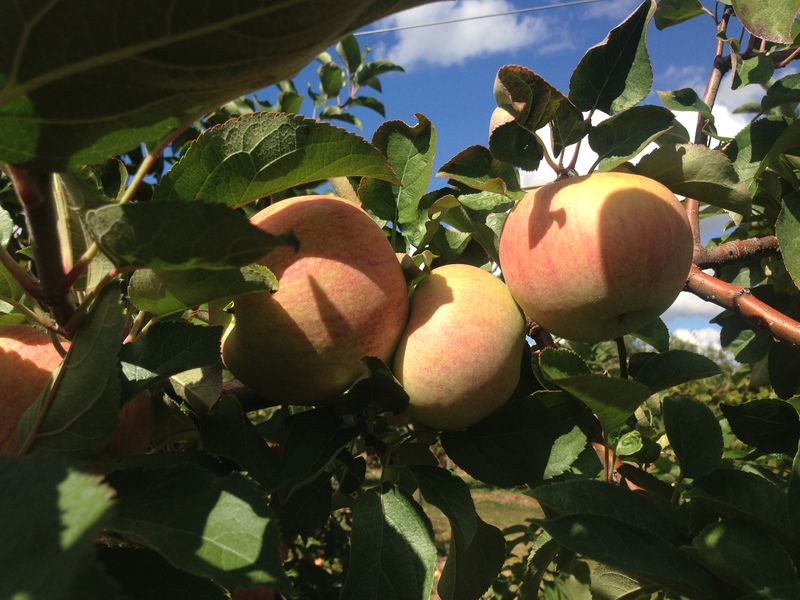 Here’s a great article that gives some more hints from Julia. Because I’m adding a lot more flavor from other ingredients like whole shallots and chicken, this sauce is meant to be a good base. 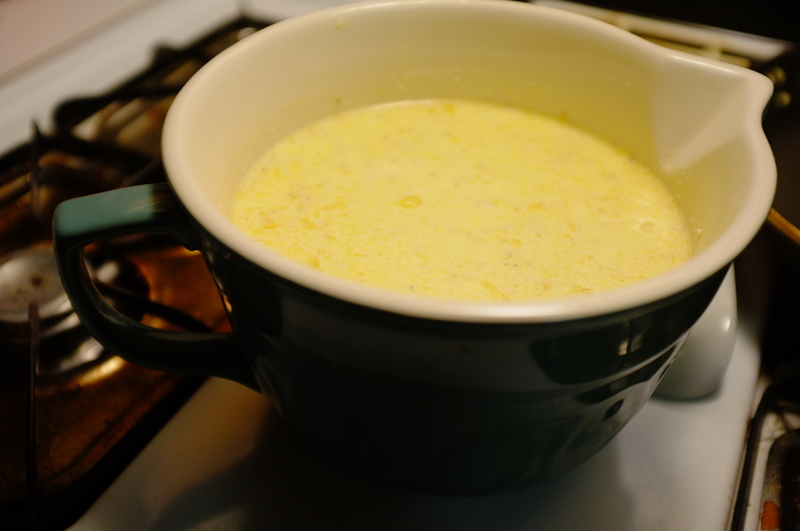 In a medium saucepan over medium heat, melt the butter. Add the garlic and saute for a few minutes. Add the minced mushrooms and stir gently under the mushrooms are cooked and most of the liquid has evaporated. Add remaining ingredients and allow most of the wine to evaporate until you have a thick sauce. Stir occasionally. Set aside. 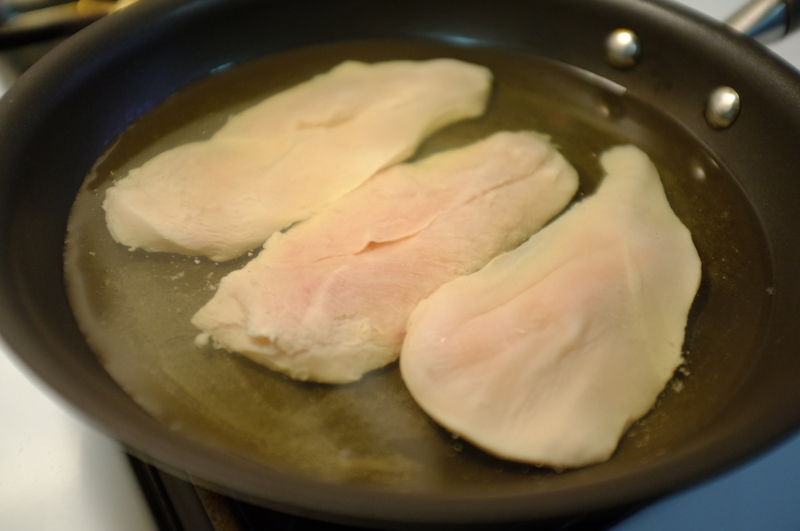 In a shallow pan, poach chicken breast in white wine. 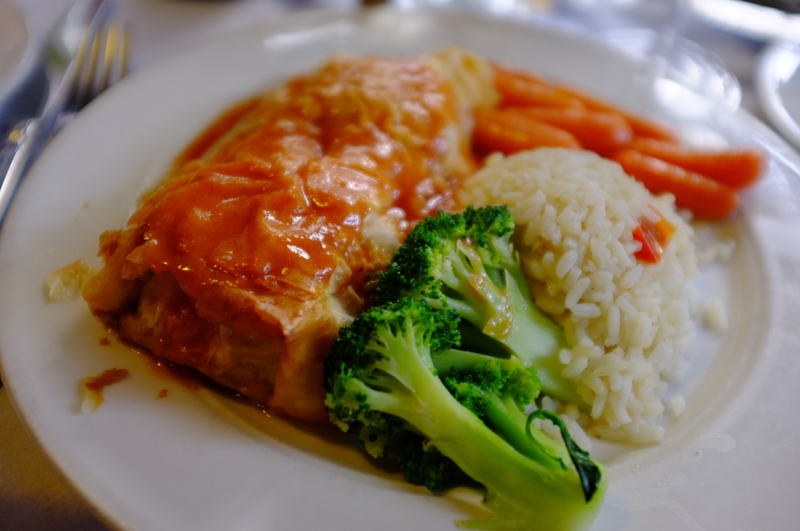 If you’ve never poached chicken before, its much easier than it sounds. Pour the white wine into the pan. You may need more than the recipe calls for depending on the size of the pan. You simply need to ensure that the chicken is covered ever so slightly when submerged. Heat the wine slowly until bubbles begin to form but do not break the surface of the wine. At that point, place the chicken gently in the pan. Let it cook until finished – about 8 minutes. Once you’ve cooked the chicken, remove it from the wine and shred the chicken into small pieces. Set aside until you are ready to assemble the tart. 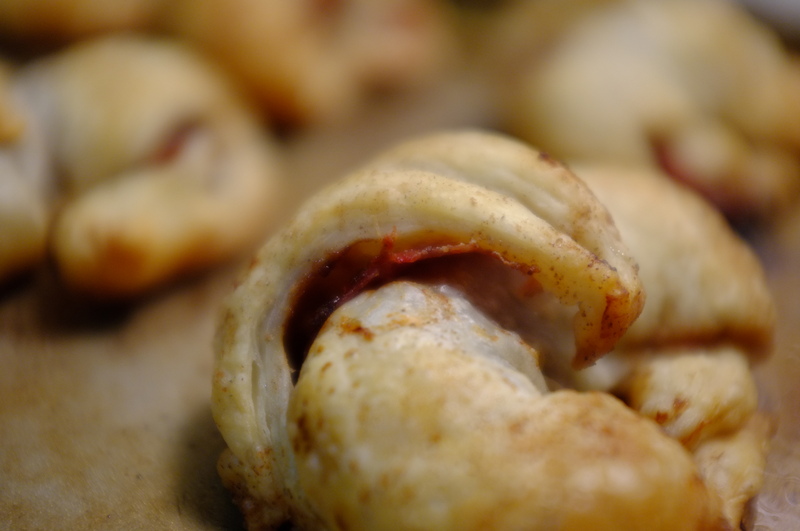 Roll dough out on a well-floured flat surface. Spread mushroom sauce generously, leaving an inch of exposed dough around the edges. 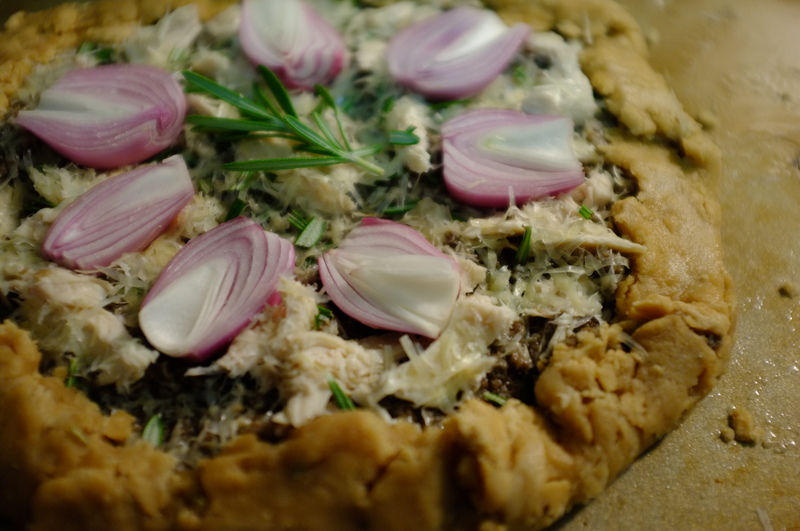 Sprinkle shredded chicken on top of the dough and top with gruyere and rosemary. 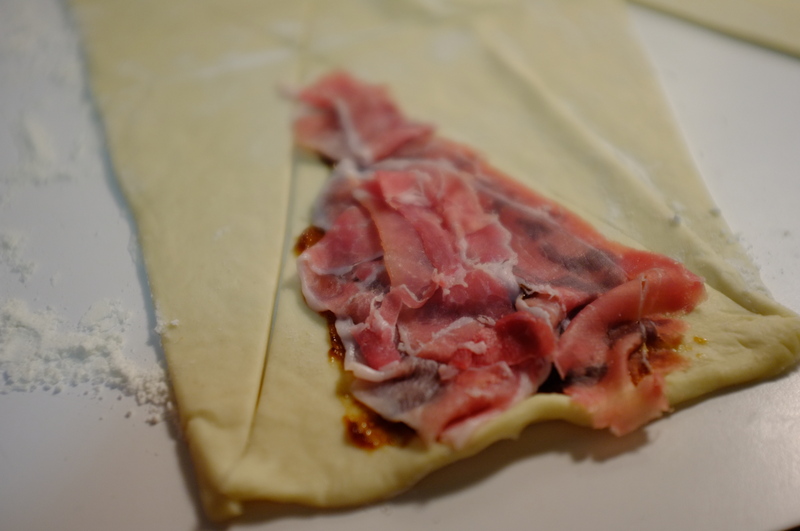 Then, fold the exposed edges of the dough over on itself to “close” the tart. 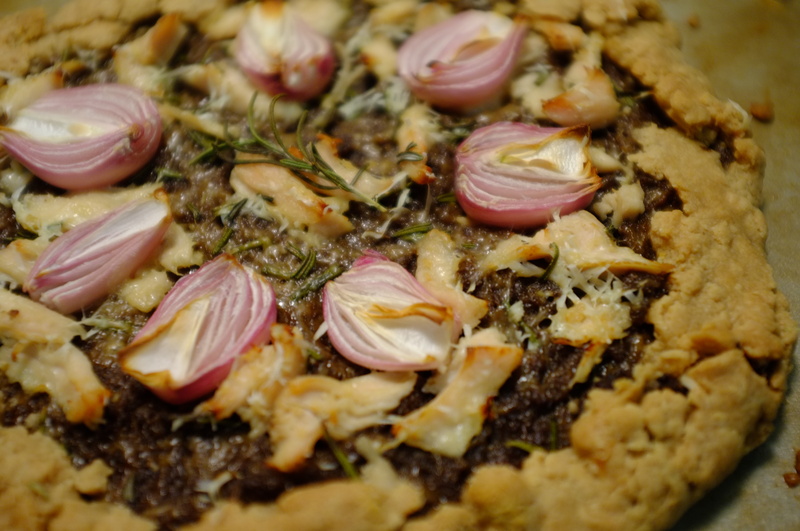 Finally, place the halved shallots on the tart after spreading them open. If you prefer a more caramelized flavor, cook them briefly open half down in a pan over low heat. Bake in the oven for about 25 minutes or until the dough is golden. 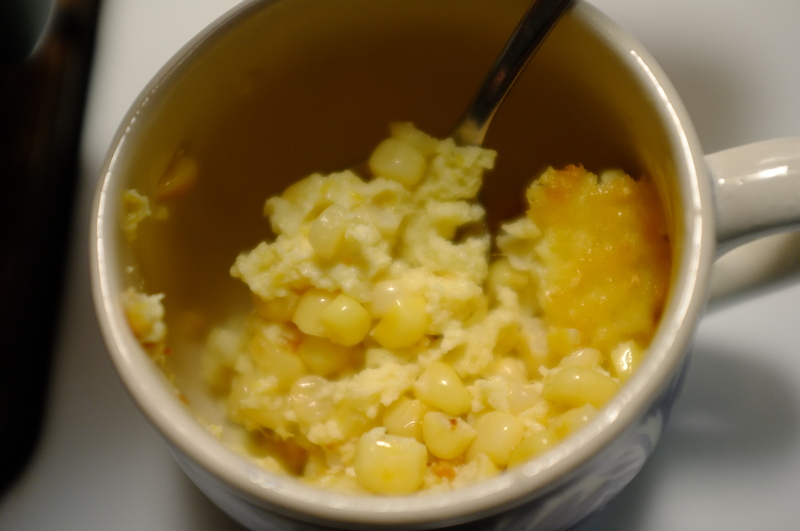 Aside from ripe berries and stone fruit, one of the best flavors of summer is sweet corn. 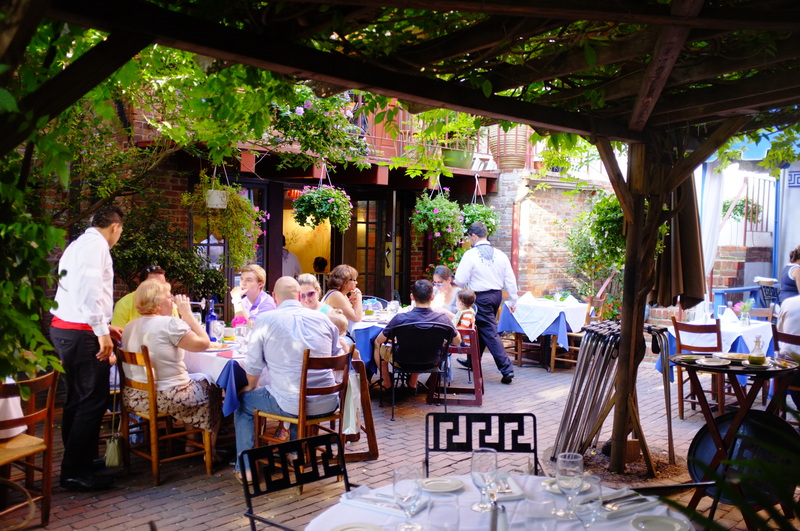 It complements just about every summer main dish – from pulled pork barbecue and fried chicken to crab cakes and shrimp boils. 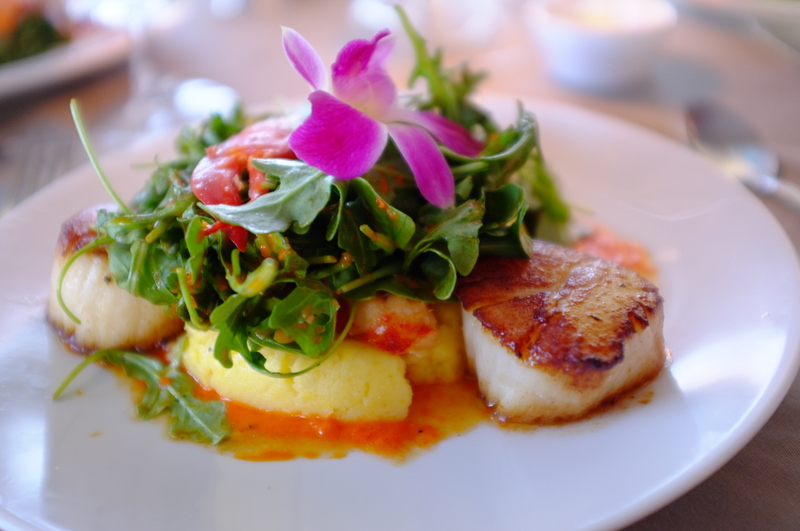 I had a very memorable dinner earlier this season at the Spring House on Block Island: Scallops with Lobster and Corn Pudding, topped with fresh arugula and garnished with chive infused olive oil and a red pepper coulis. 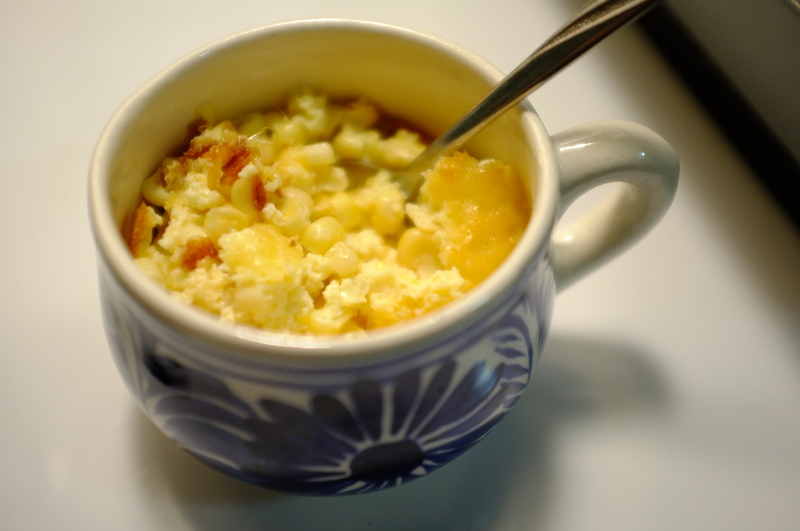 Savoring every bite, I resolved myself to try to make a versatile corn pudding that could be dressed up or down depending on what it is paired with. 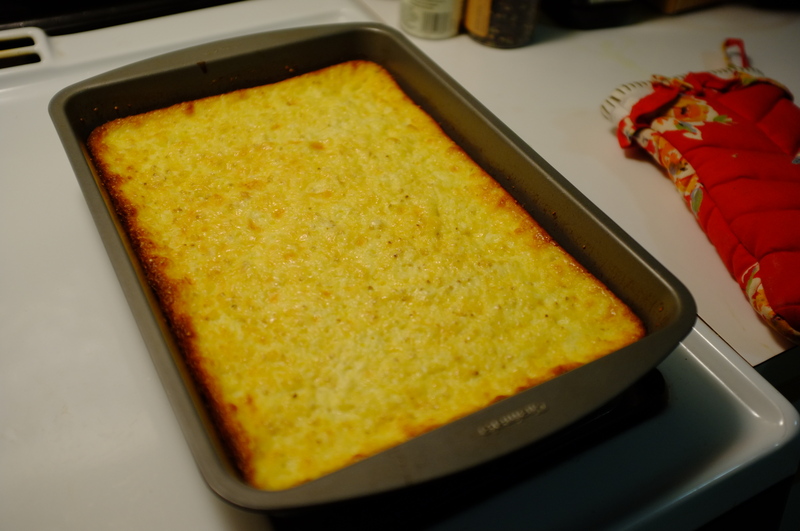 I wanted a more rustic dish this time around, so I left the kernels whole and cooked straight in the oven. 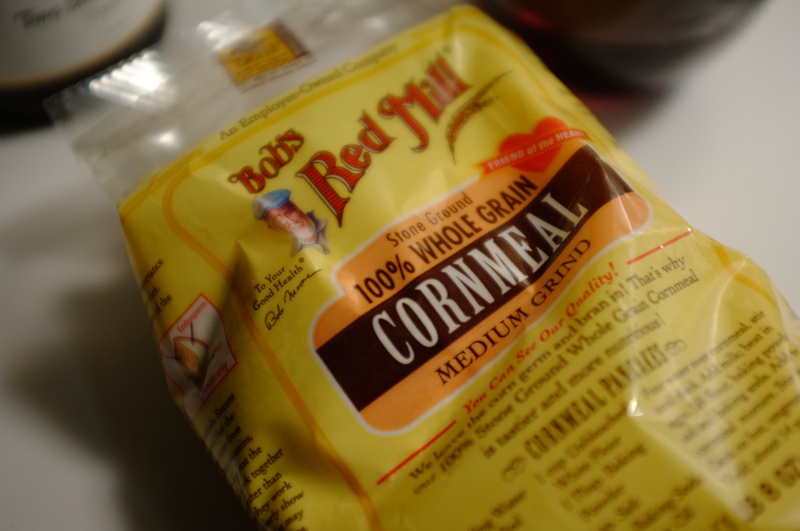 Remove kernels from the cob. 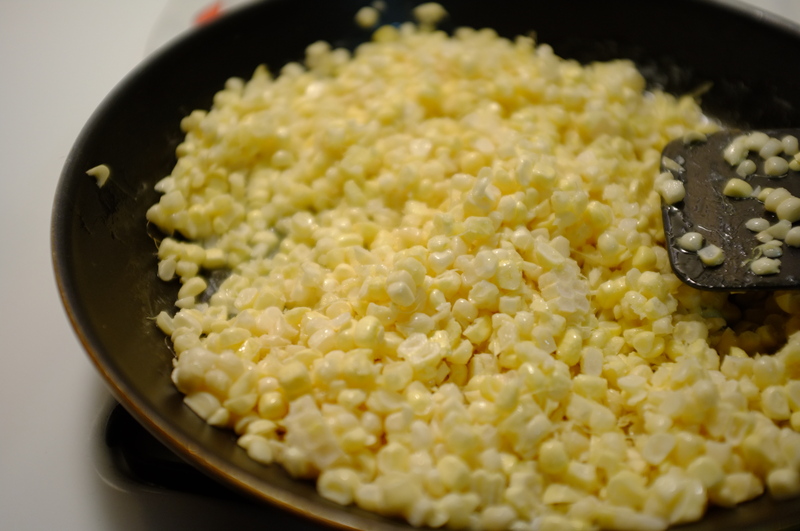 Melt butter in a large pan and saute corn kernels about 5 minutes. 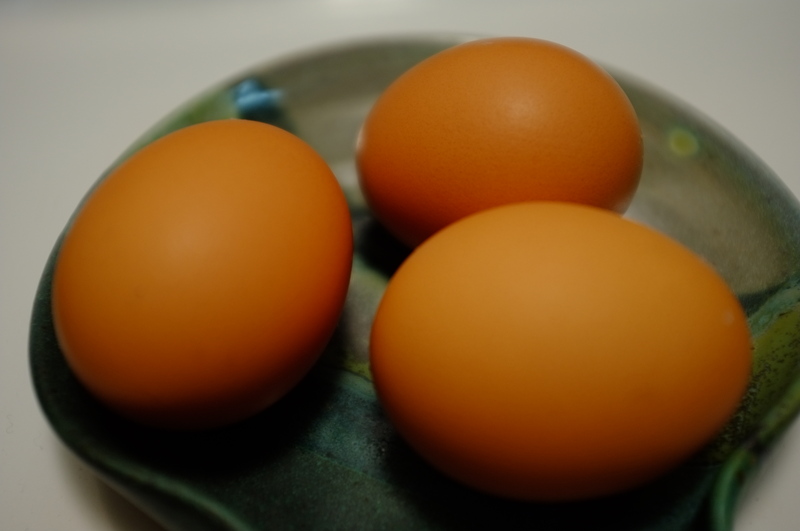 In a large mixing bowl, whisk the eggs and mix in half and half and milk. 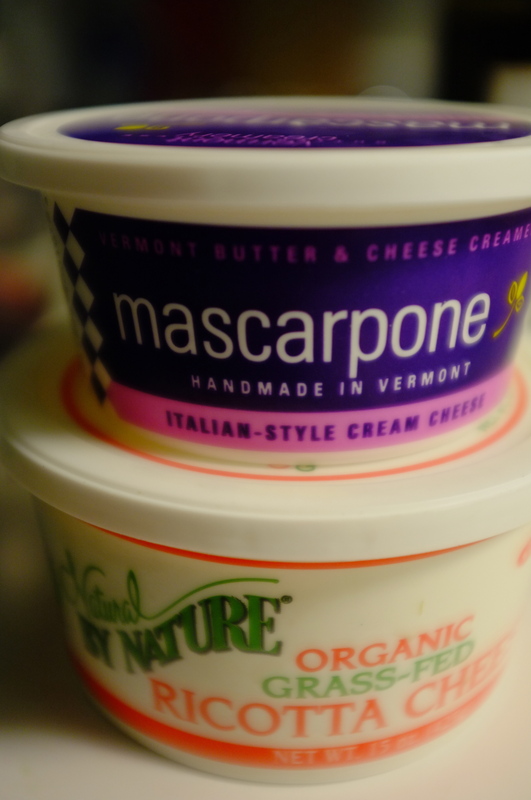 Using a large spoon or spatula, add ricotta, mascarpone, and corn meal. Stir until smooth. Finally, add sugar, salt, and vanilla and combine thoroughly. 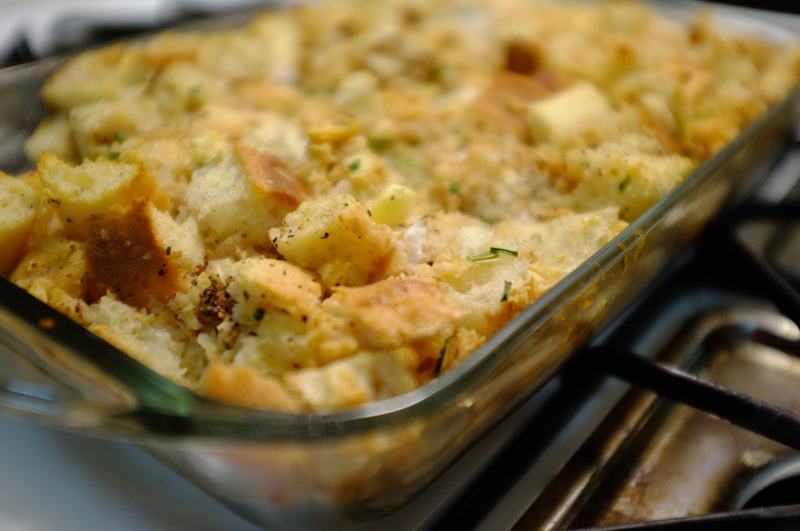 Pour into a medium-size baking pan. I chose a 9”x13” pan so that I could cut the pudding into squares for serving, but you can also bake in separate ramekins (perfect for a bain-marie) or in a casserole dish if you prefer to serve family-style. Bake for 40-45 minutes. Remove from oven and serve immediately. Let’s be honest. I’m no stellar baker. I do, however, like to play with flavors. 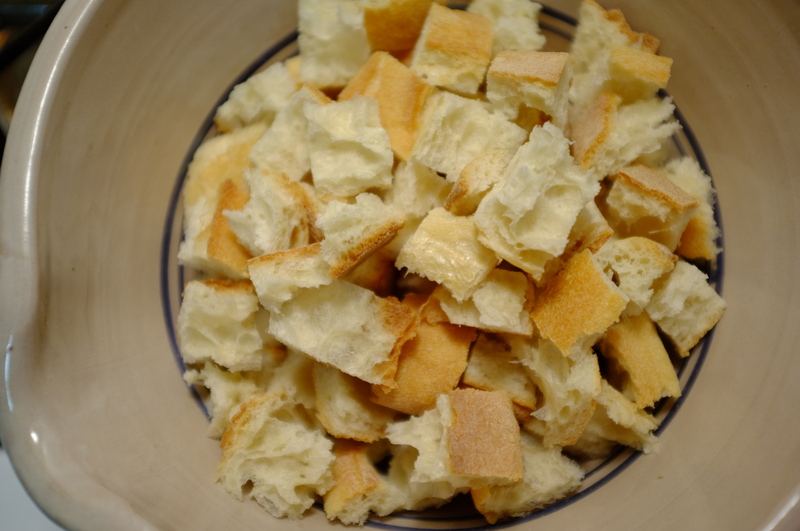 Let’s also be honest that croissants are the number one – not to mention more socially acceptable – way to indulge in about a pound of butter second only to eating it right out of the container. 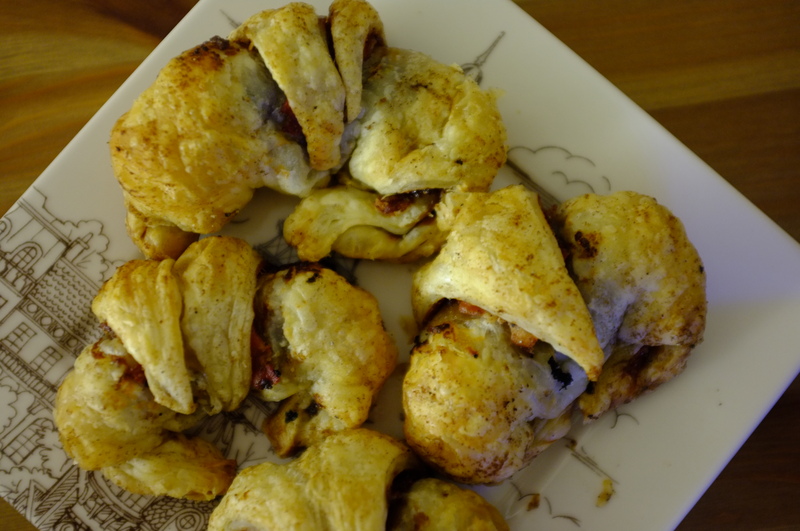 I’ve been searching for an easy and new take on croissants that would also give me some protein (prosciutto is healthy – right?) and allow me to justify my craving. 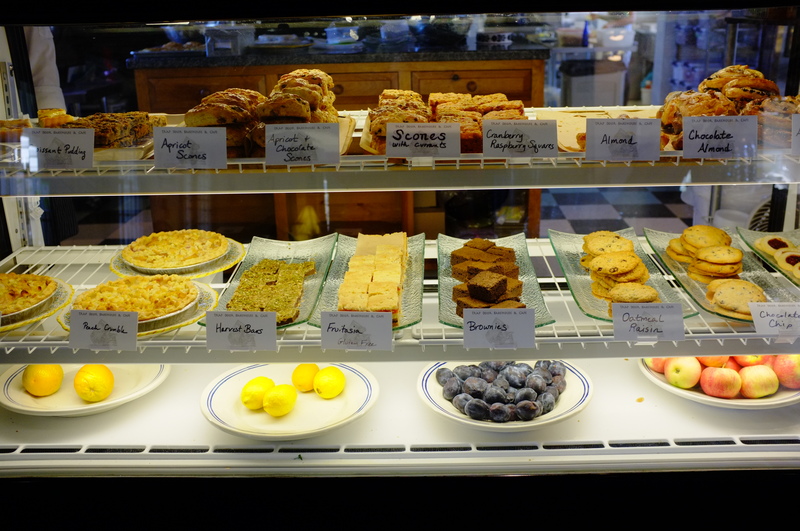 On a recent trip to a very good friend’s wedding and in search of a quick breakfast, I stumbled upon Alice Bakery & Confectionery in North Whales, Pennsylvania. Sitting just behind the counter, I spotted an enormous and beautiful prosciutto and gruyère breakfast pastry – the kind you just can’t say no to. With only a single one left in the case and 3 people ahead of me in line, I went through the typically foodie anxiety that every person in line might dash my hope of the perfect morning meal before I even got my coffee. But lo and behold, the stars aligned, and the croissant was mine. After weeks of recalling the flavor, Alice Bakery inspired this sweetened twist on prosciutto croissants with fig preserves and a cardamom butter glaze. 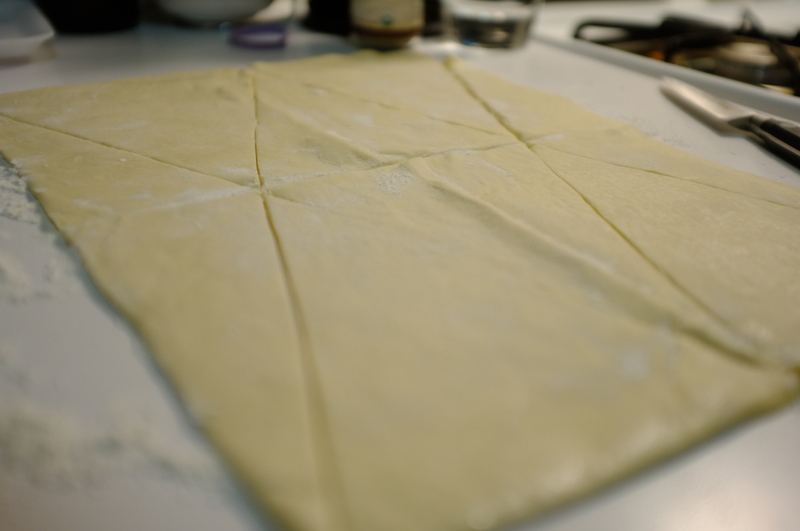 Another point of honesty: people rarely have 2+ hours to make puff pastry dough from scratch. I bought a box of Dufour pastry dough from Whole Foods. It’s a perfect and easy-to-use solution for the busy baker. 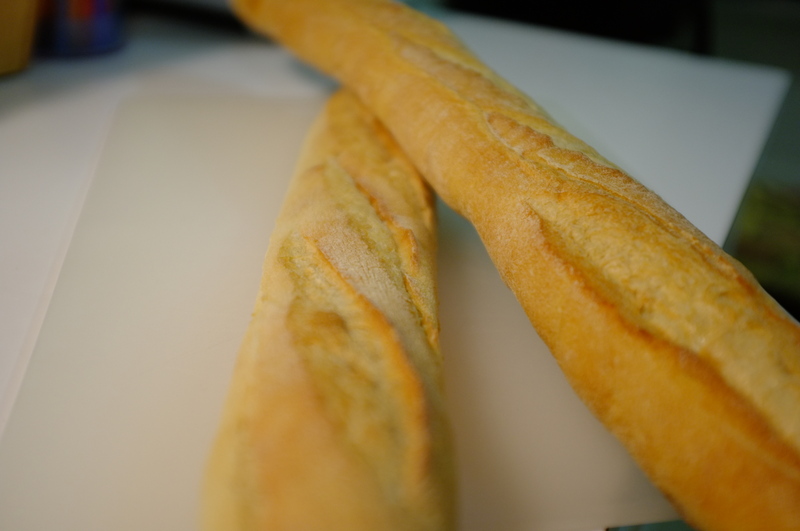 You can also usually purchase dough from a local bakery if you order in advance. Yields 8 servings. Preheat oven to 375 degrees Fahrenheit. Grease cookie sheets and set aside. Flour a clean surface and unpack or roll out the puff pastry dough. Using a sharp knife, cut the pastry dough into triangles (isosceles) that are approximately 5 inches in width and 7 inches in height. 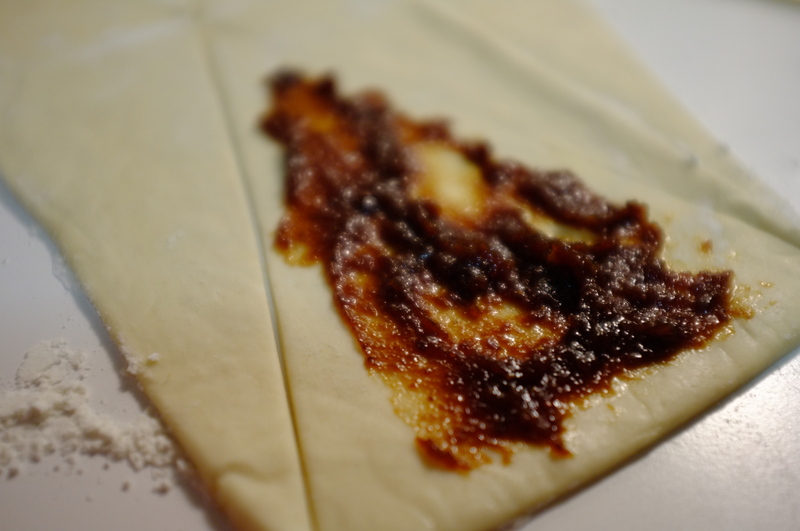 Spread a generous amount of fig preserves onto the triangles of pastry dough. Place prosciutto on top of fig spread. 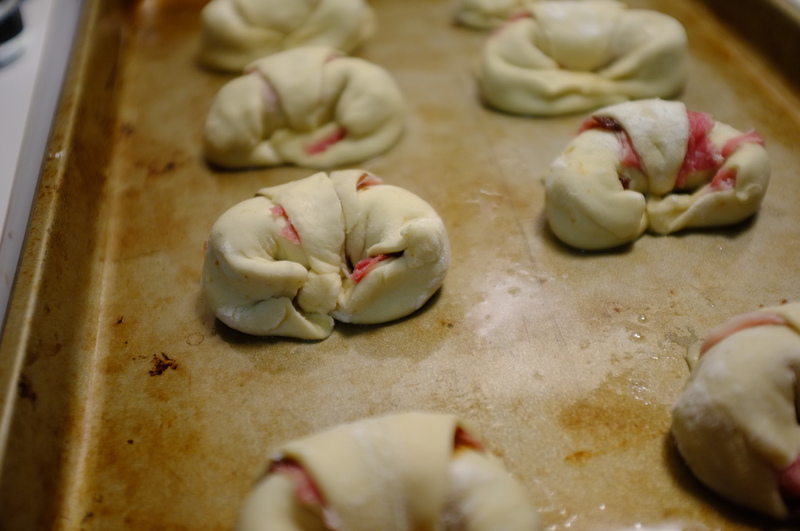 Gently roll the dough up to the point and tuck the sides to form a croissant. Place on the cookie sheet. 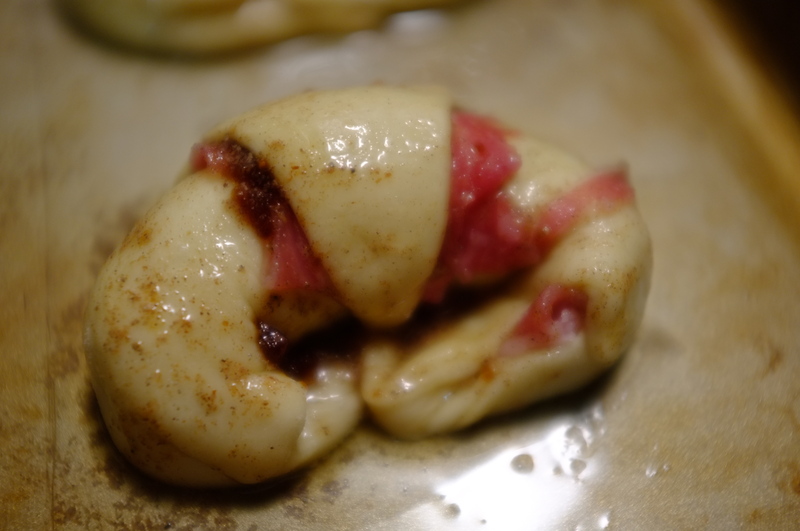 Allow room between pastries for the dough to expand. Set aside. Heat the butter again to encourage the cardamom flavor to infuse in the butter. Generously brush the butter on the croissants. Place pastries in the oven and bake for about 14 minutes or until slightly golden. Allow them to cool before serving. Yum.